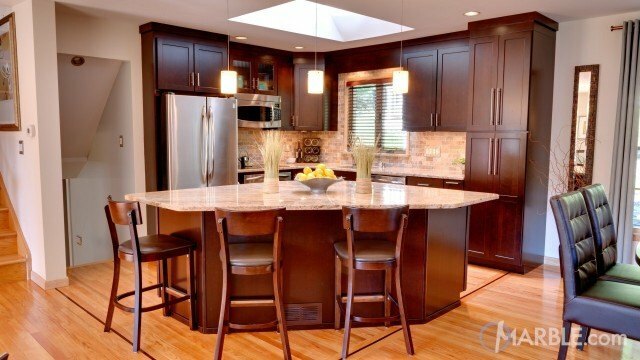 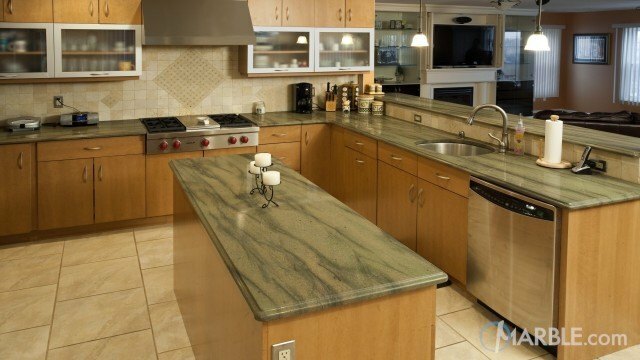 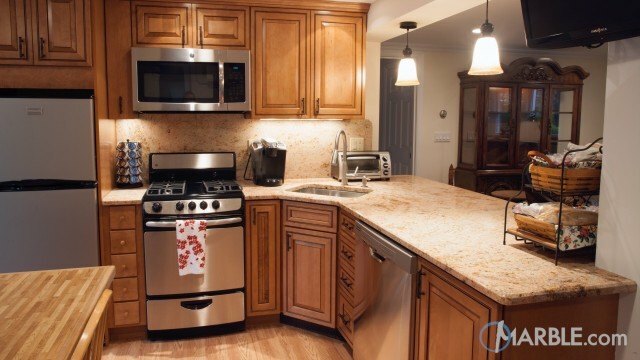 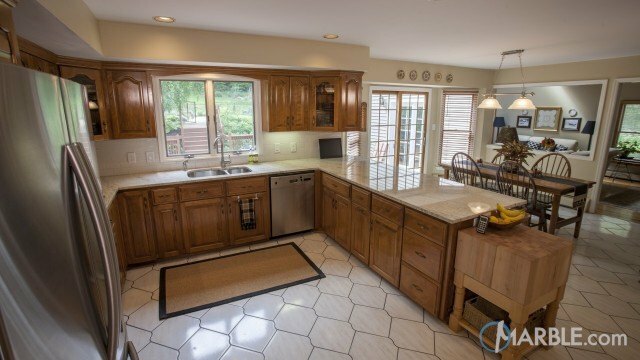 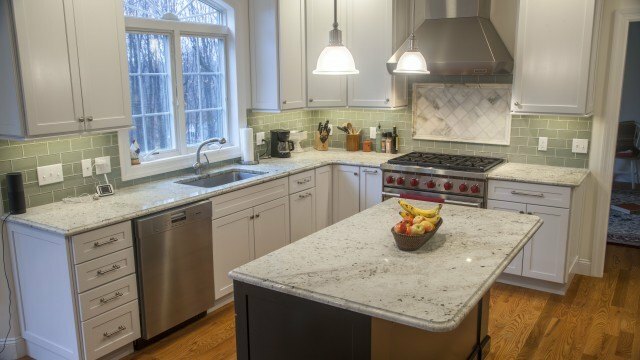 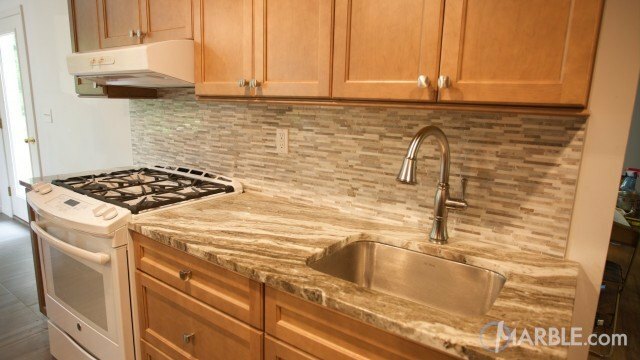 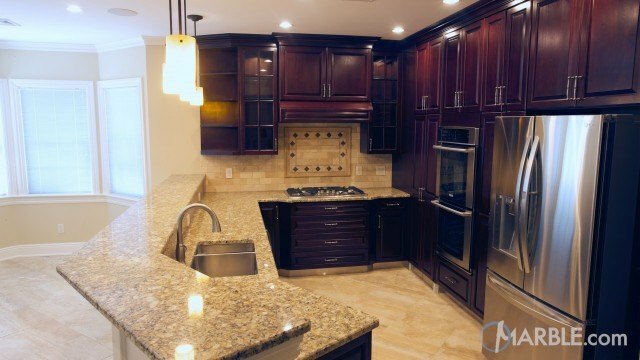 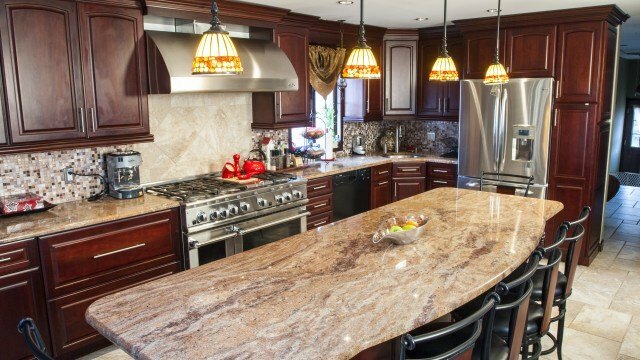 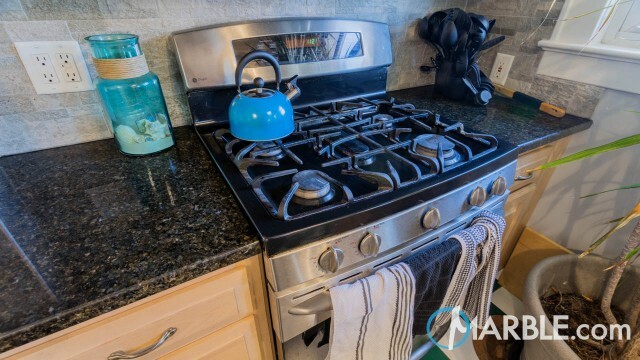 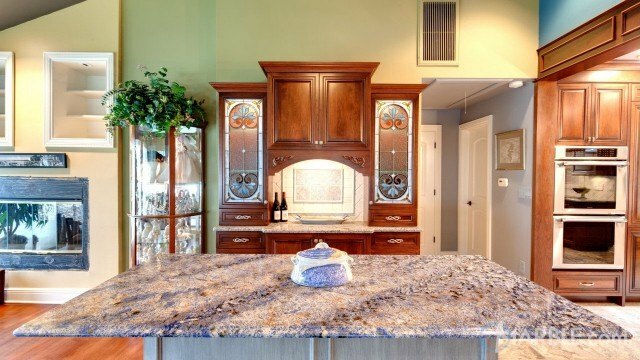 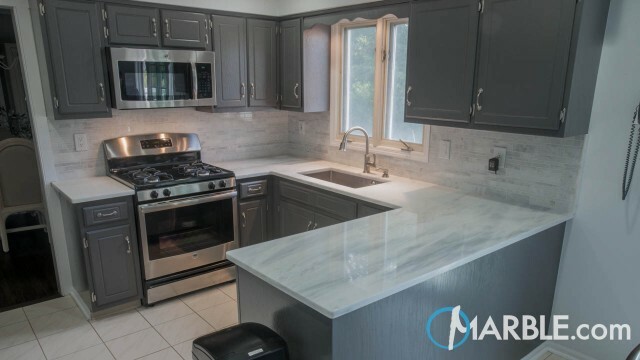 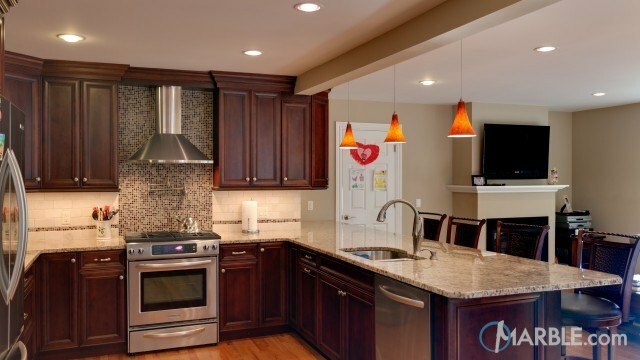 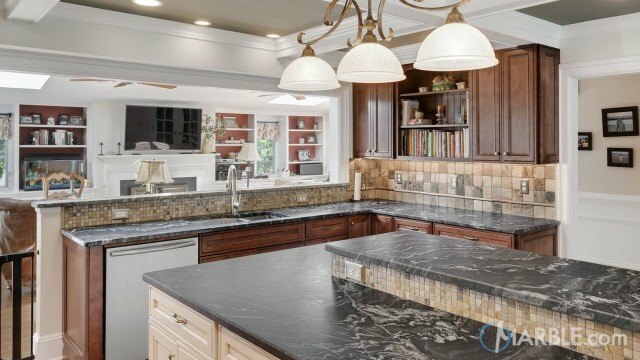 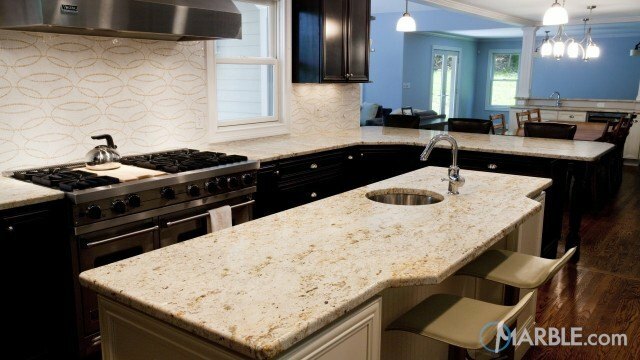 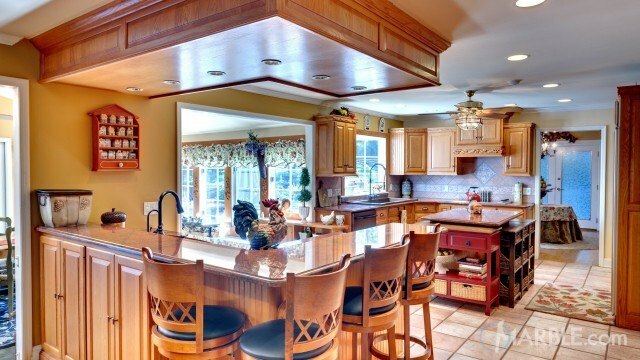 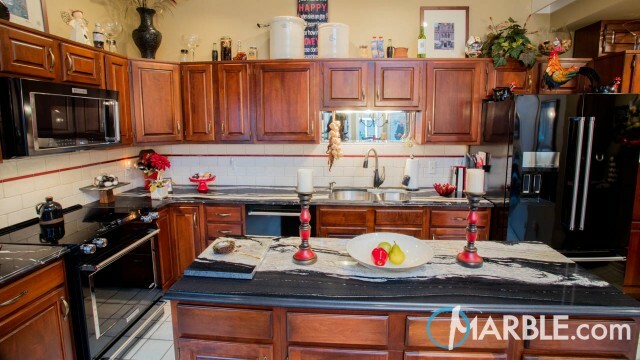 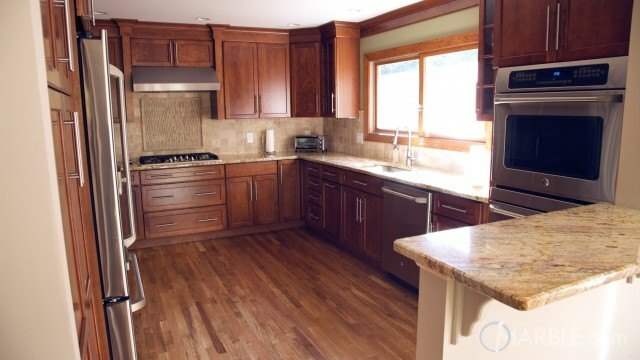 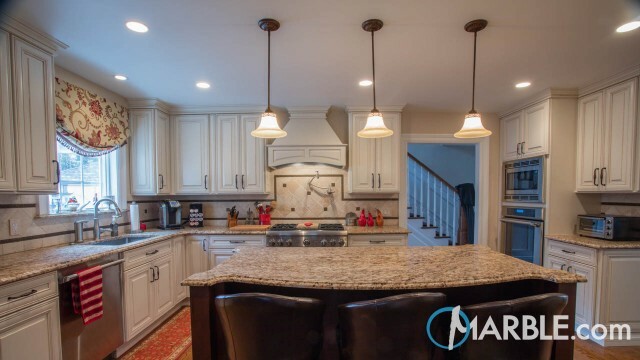 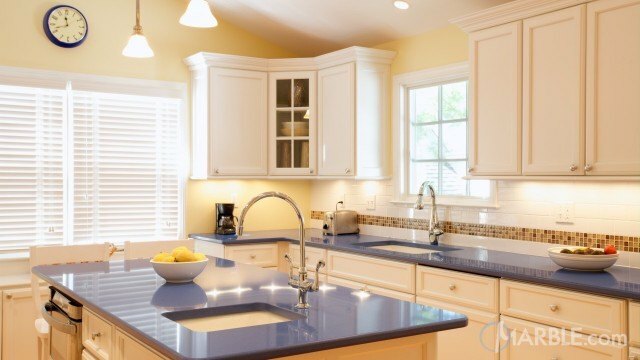 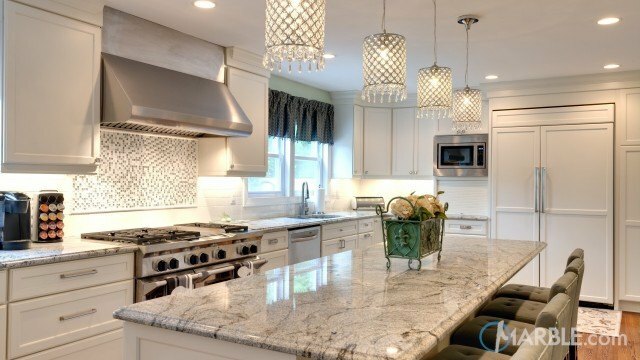 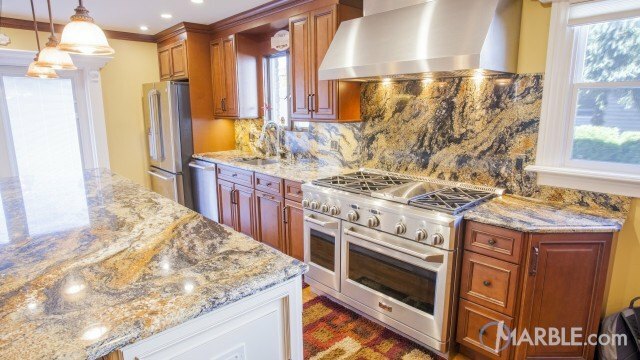 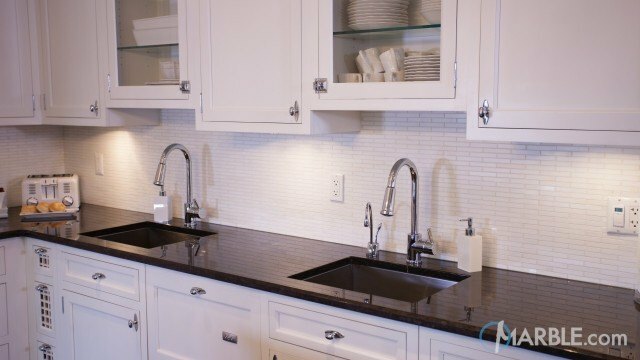 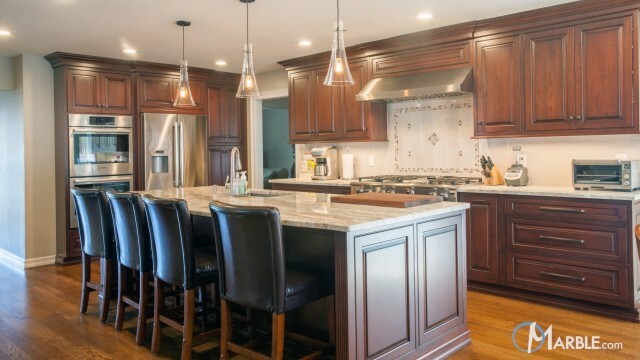 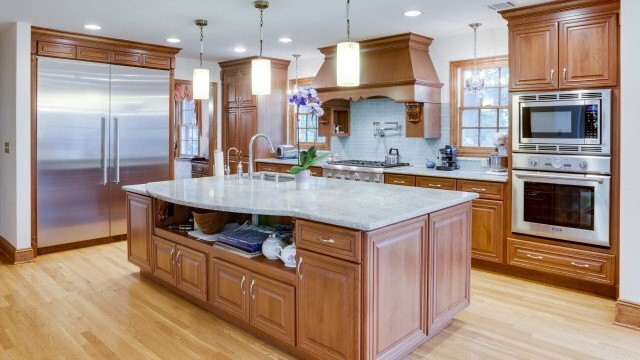 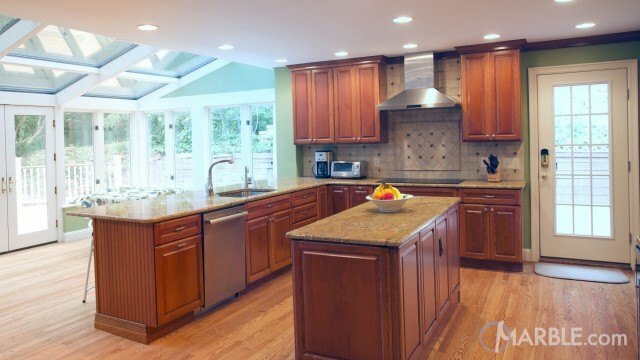 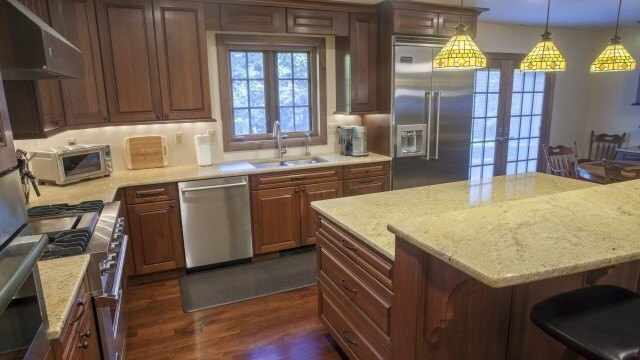 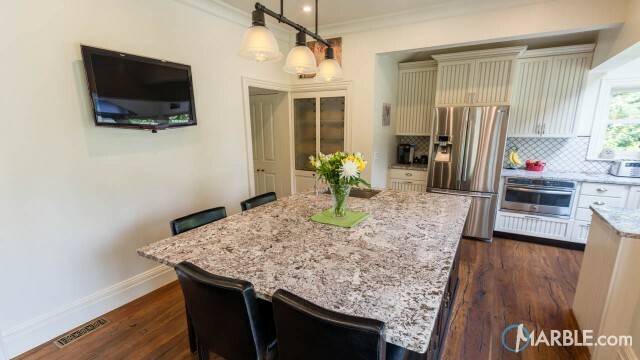 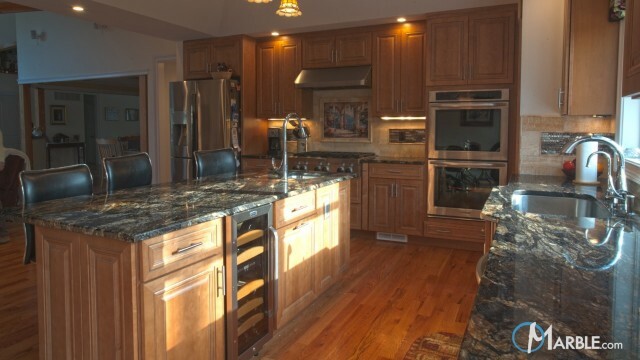 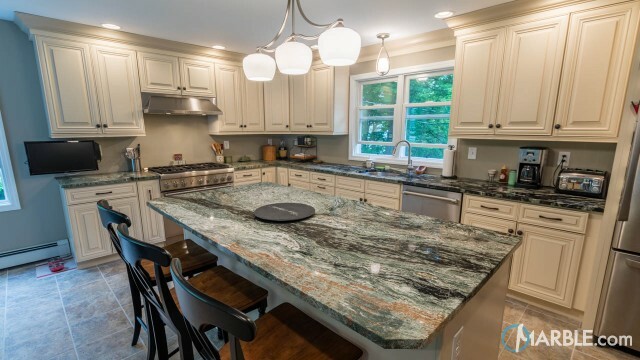 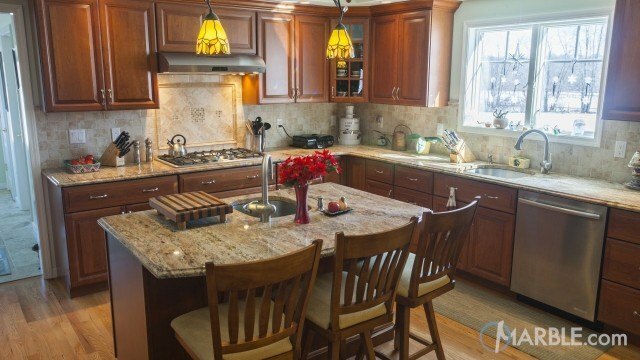 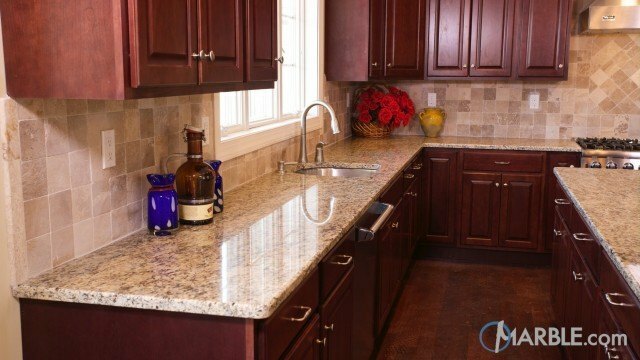 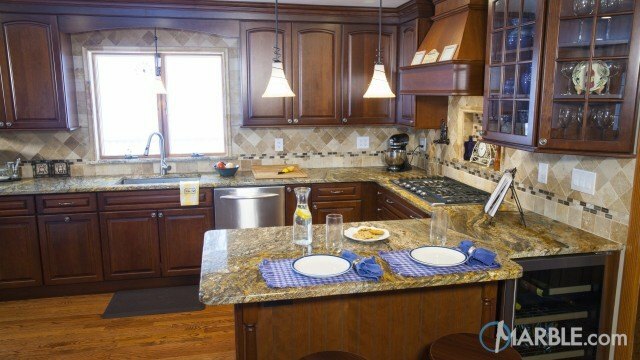 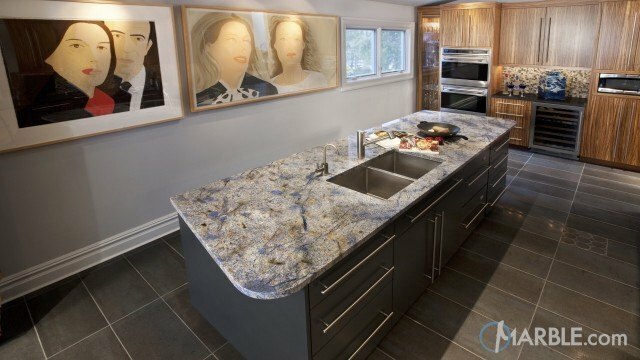 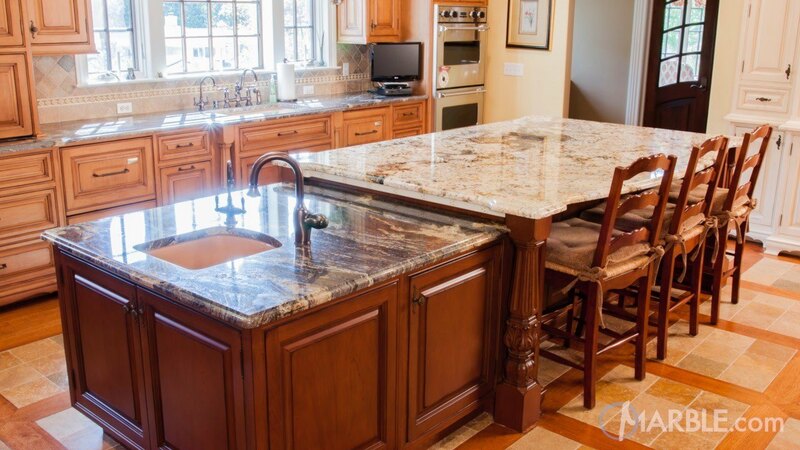 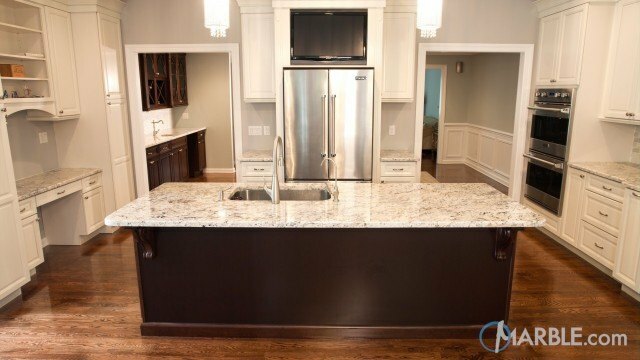 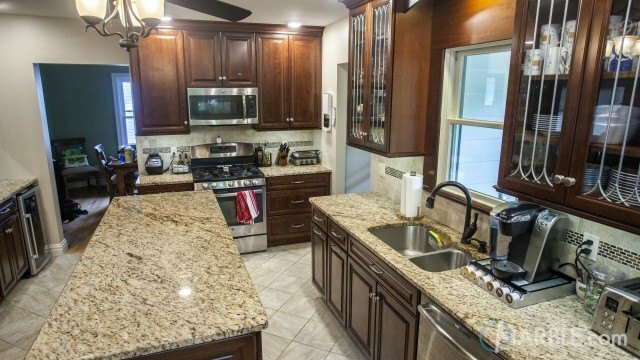 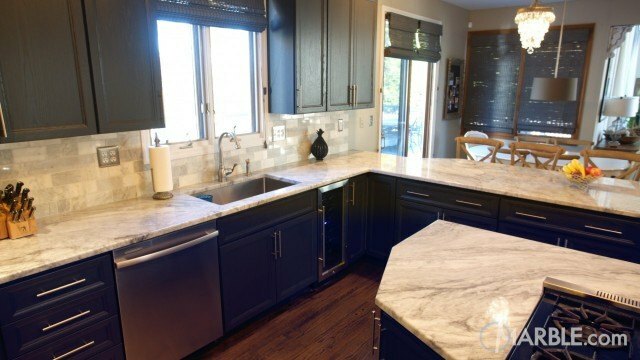 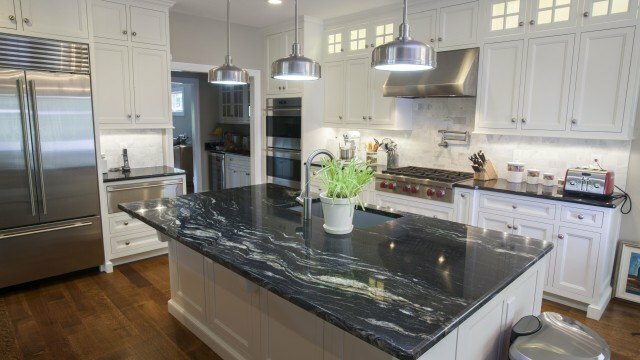 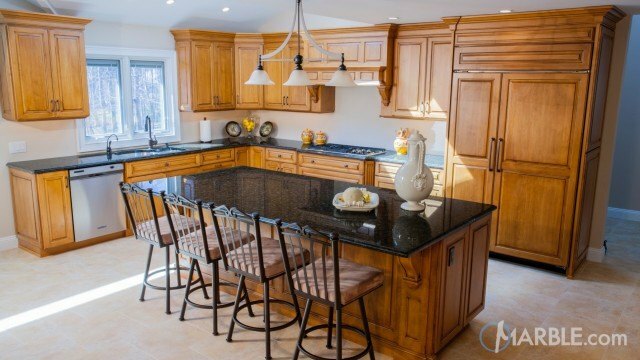 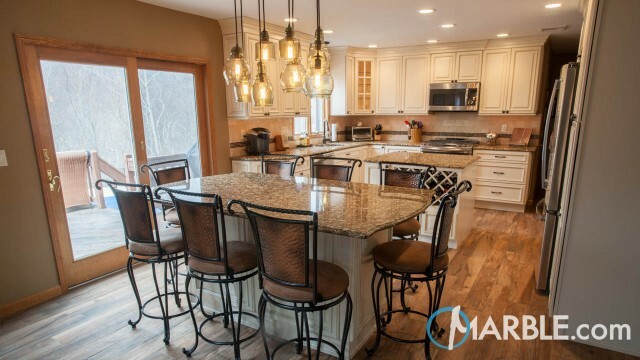 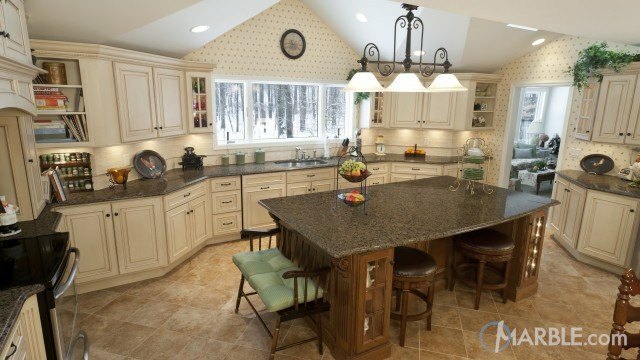 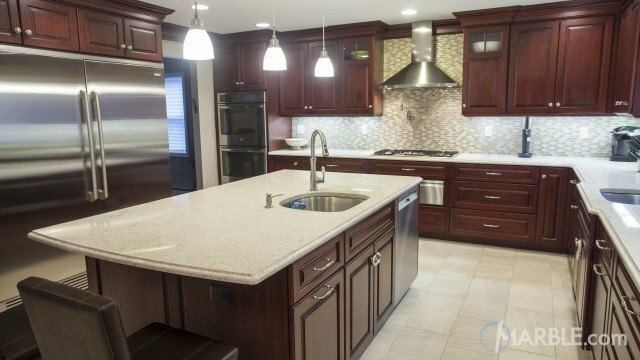 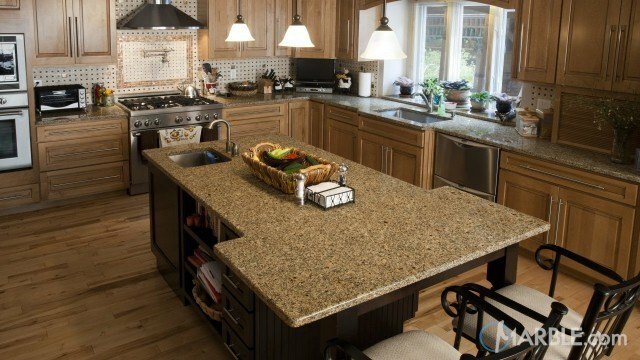 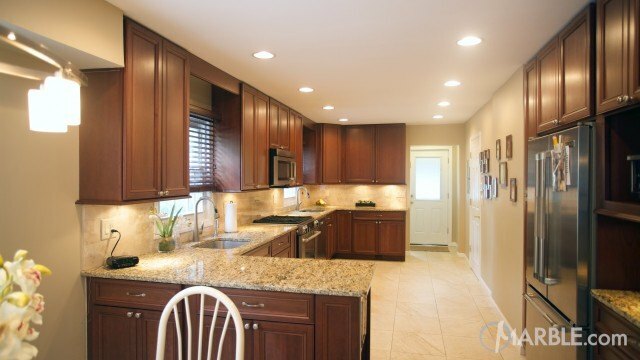 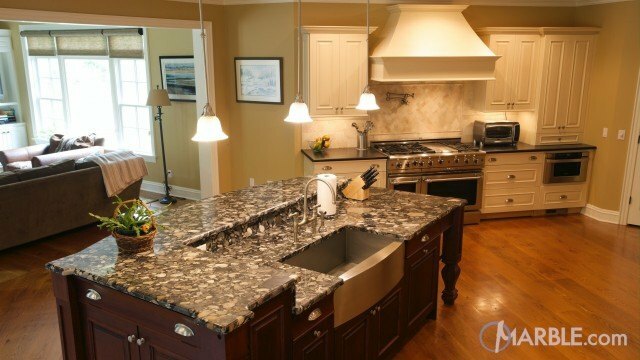 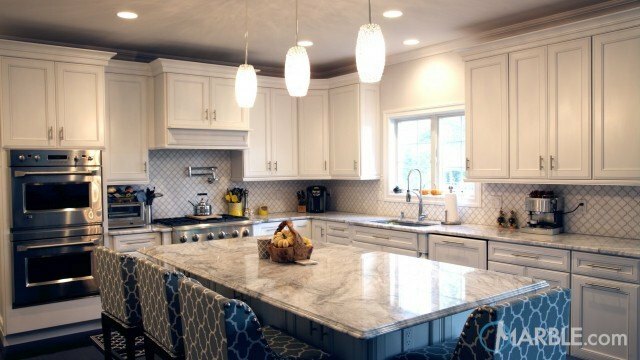 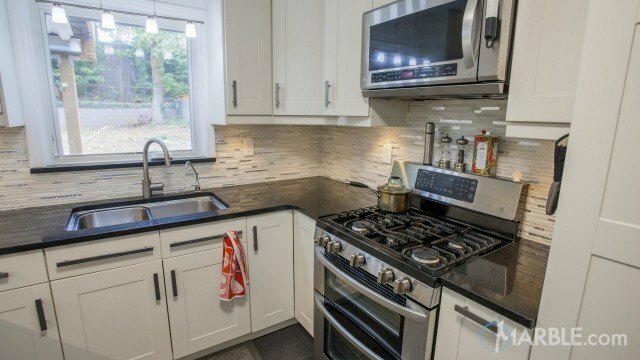 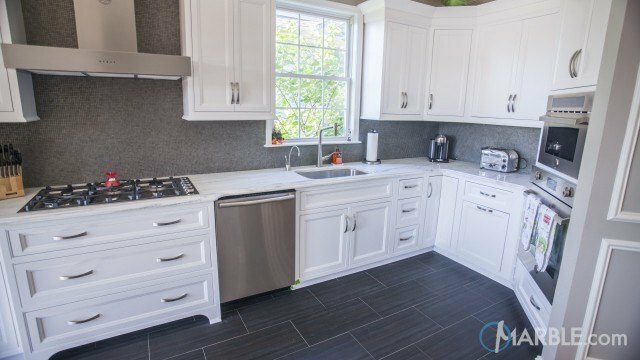 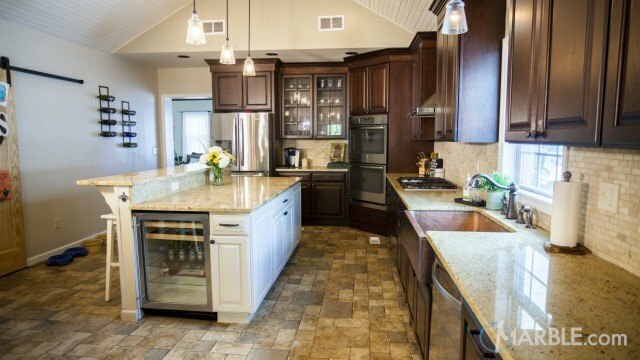 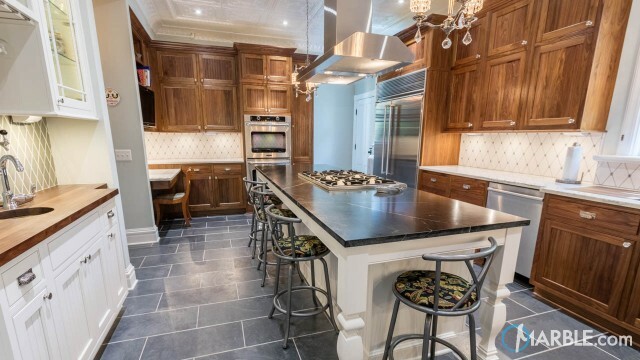 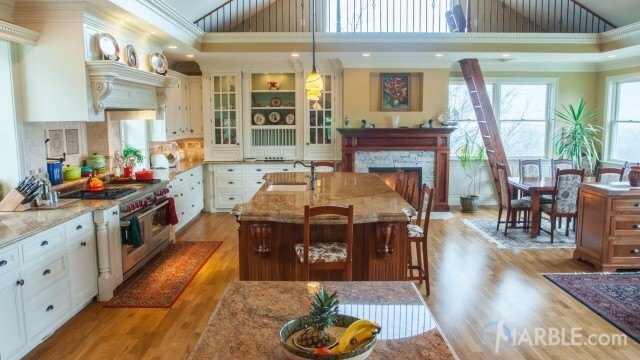 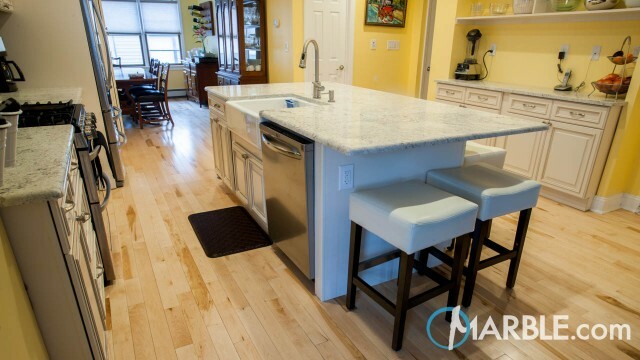 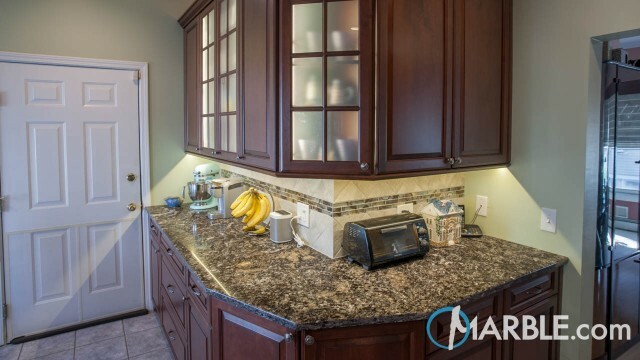 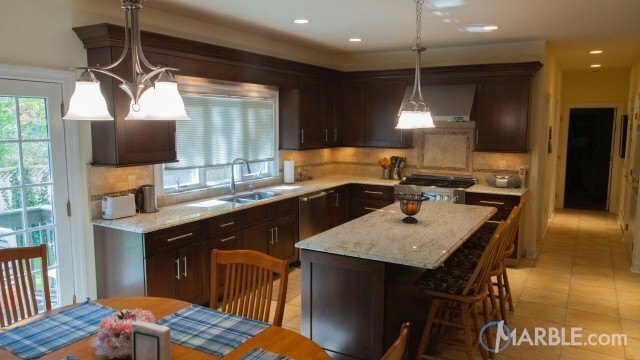 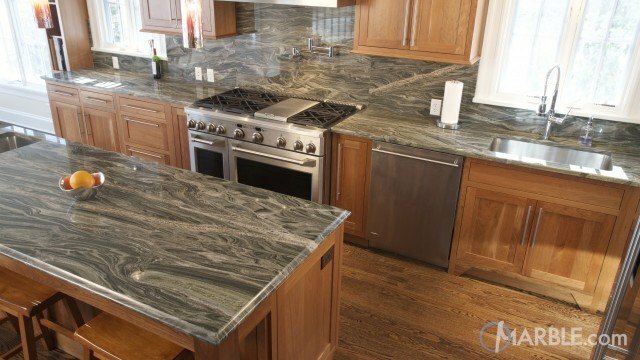 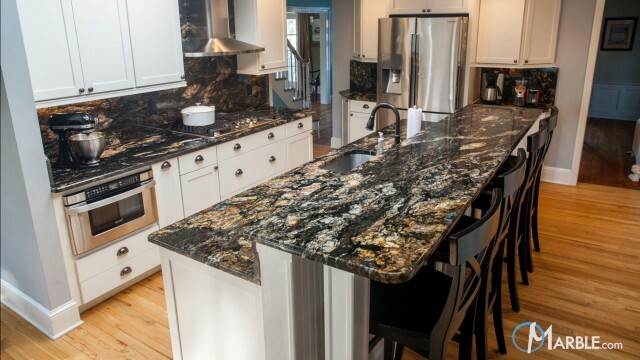 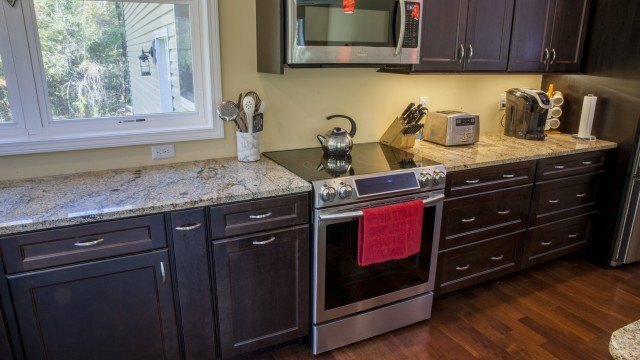 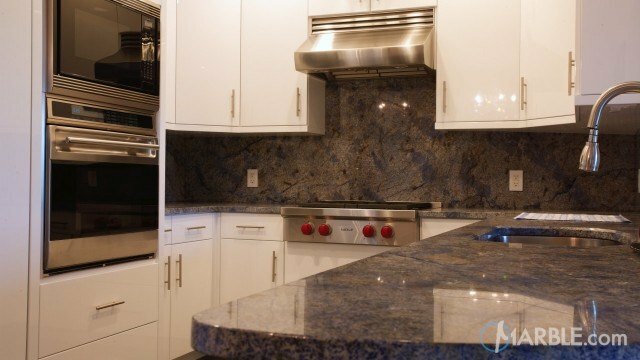 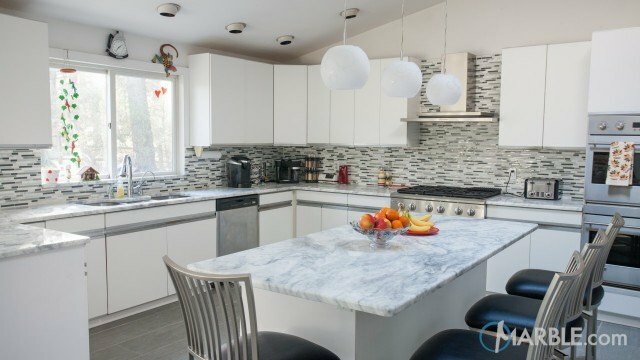 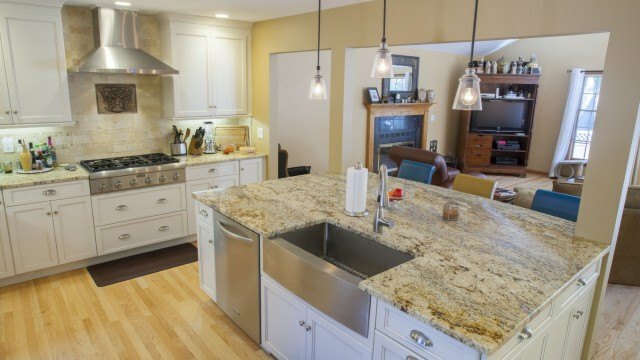 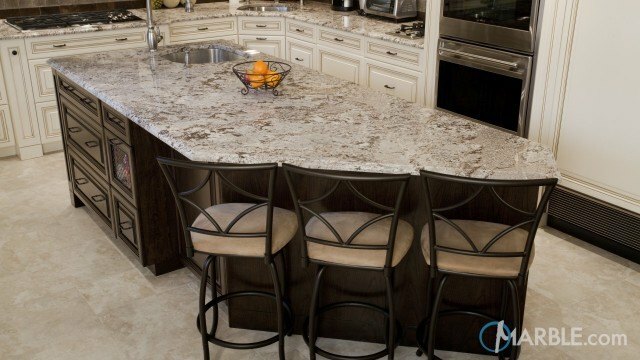 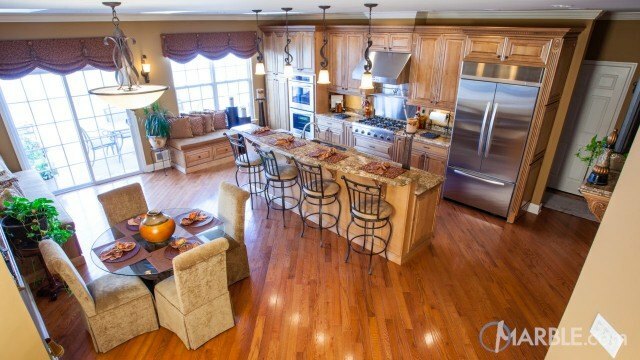 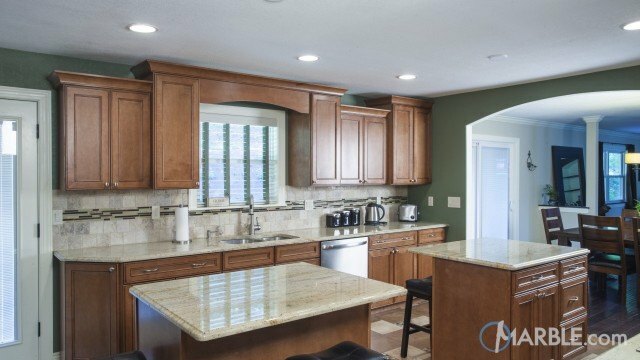 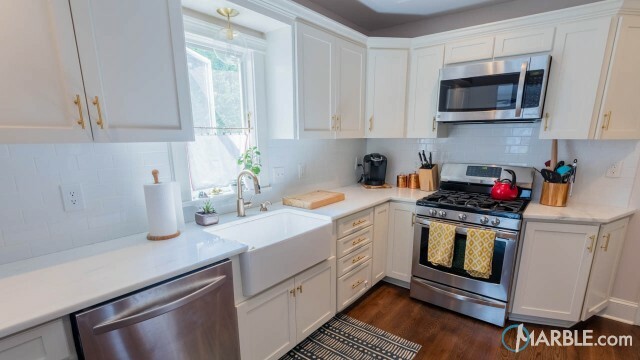 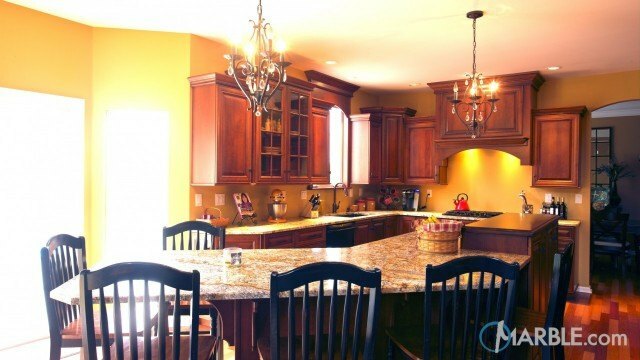 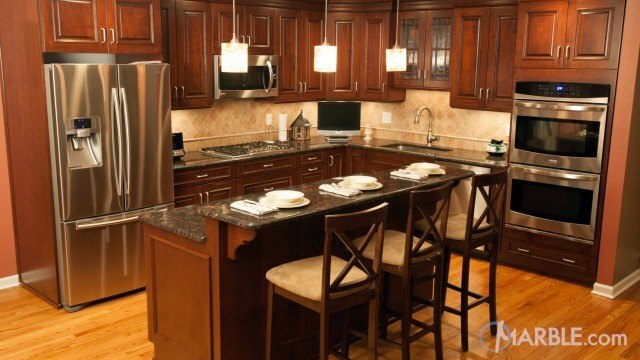 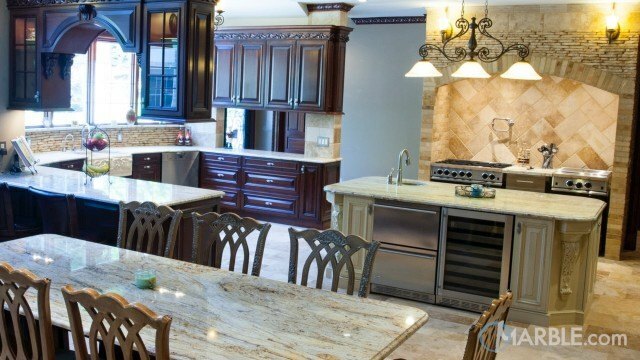 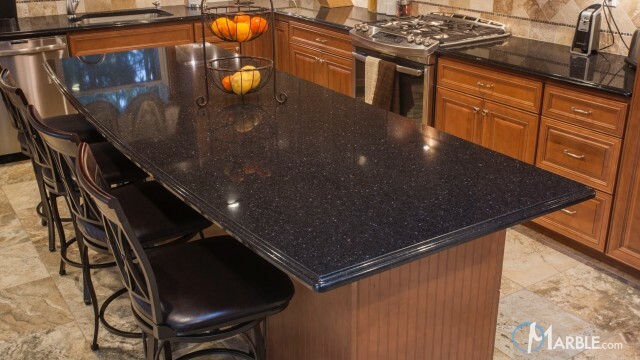 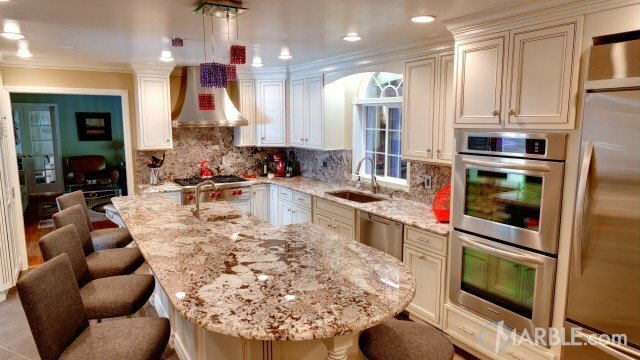 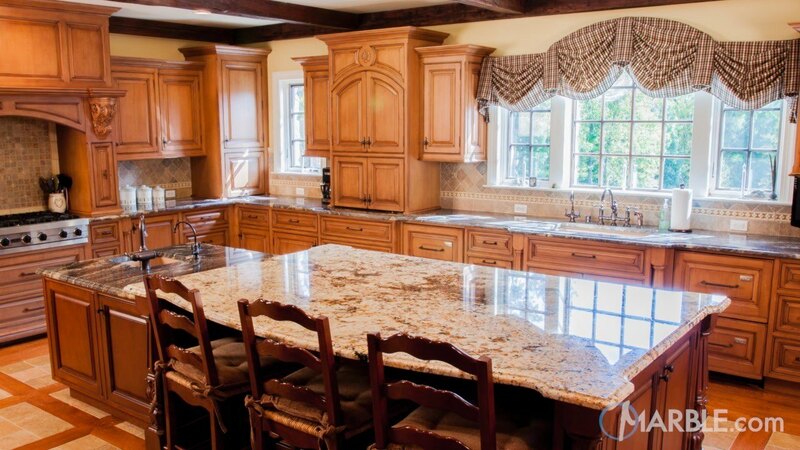 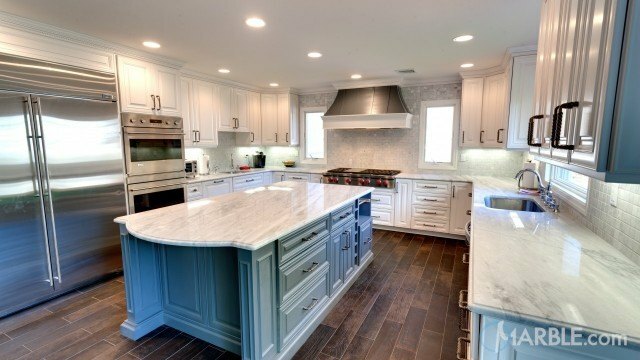 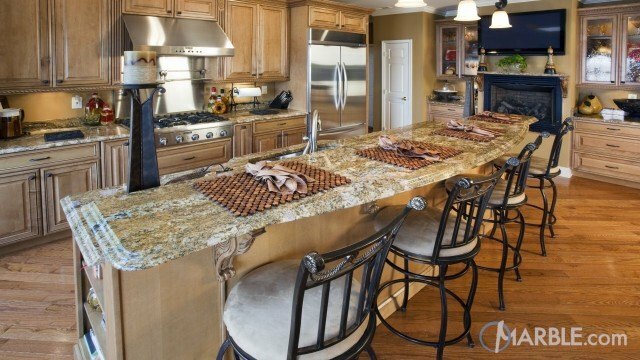 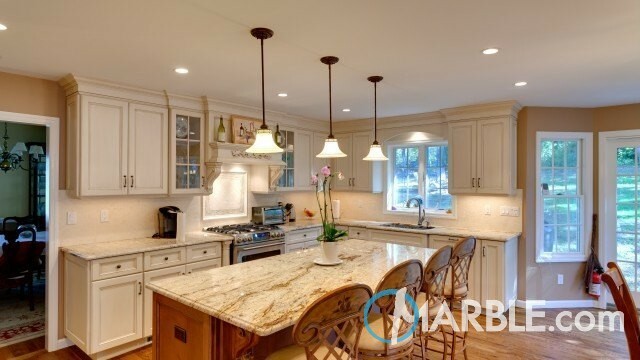 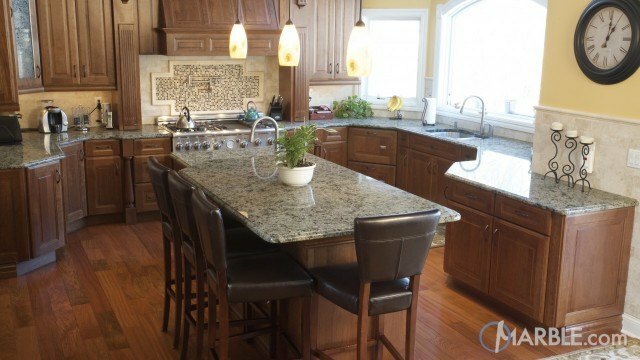 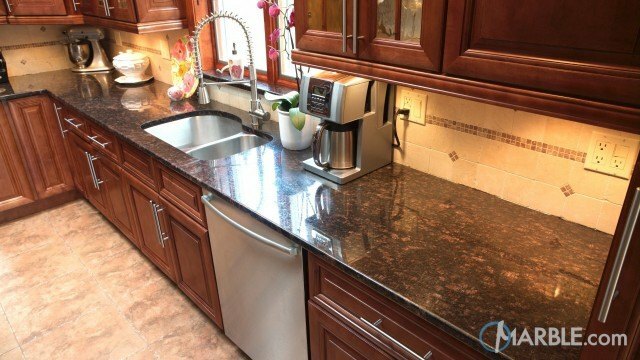 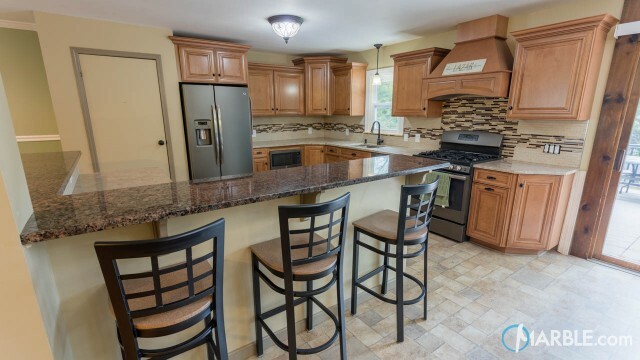 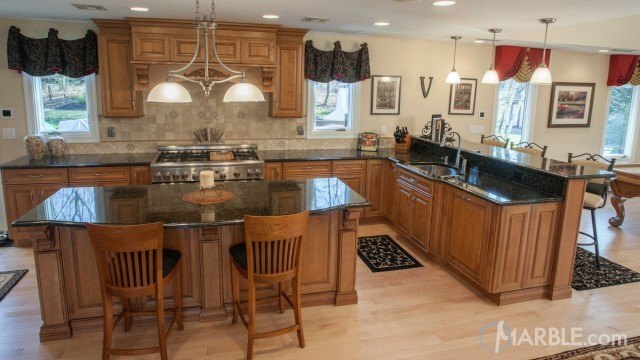 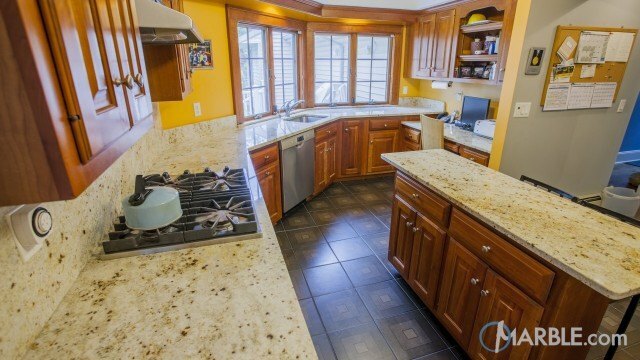 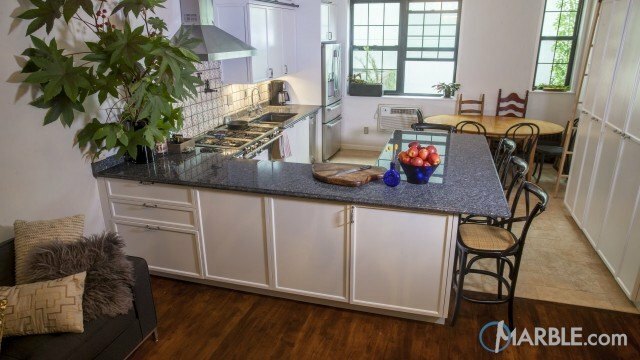 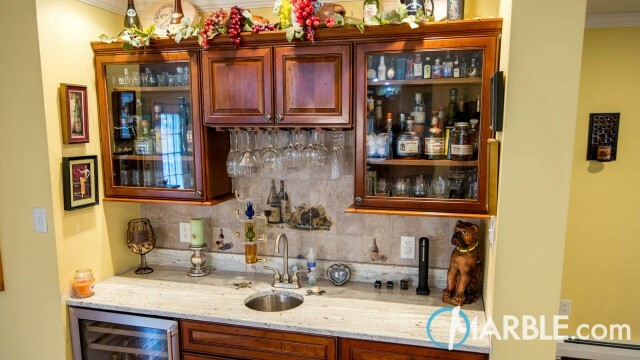 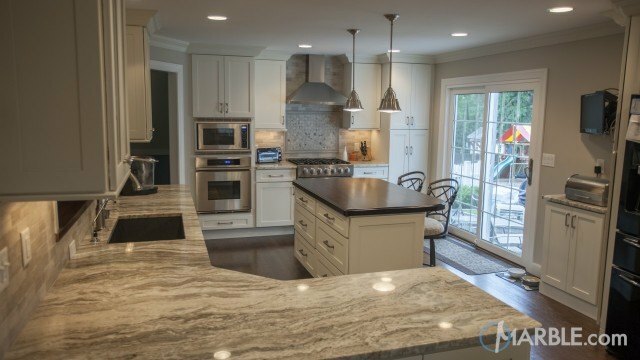 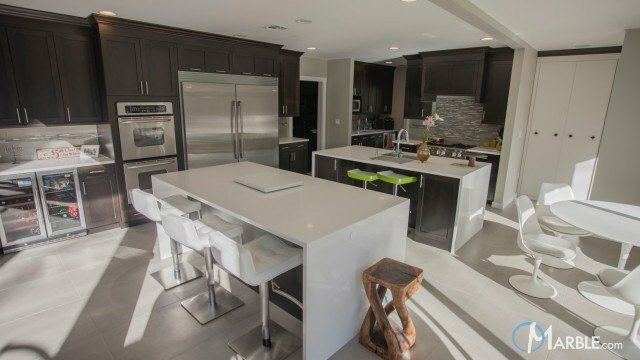 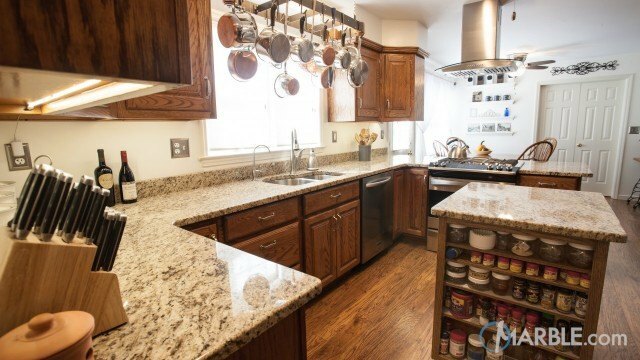 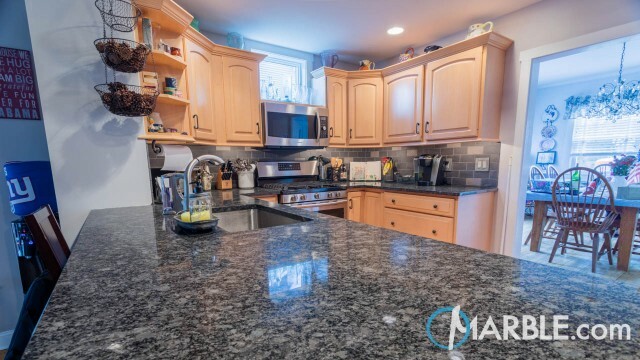 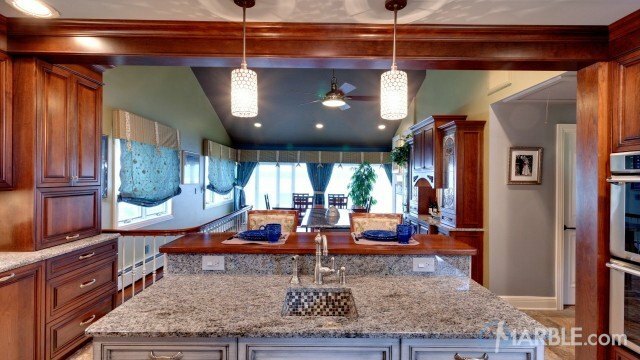 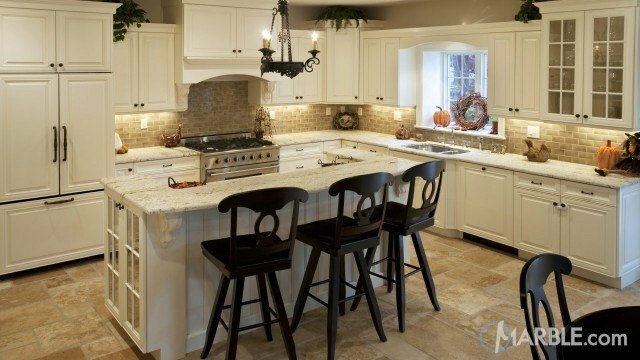 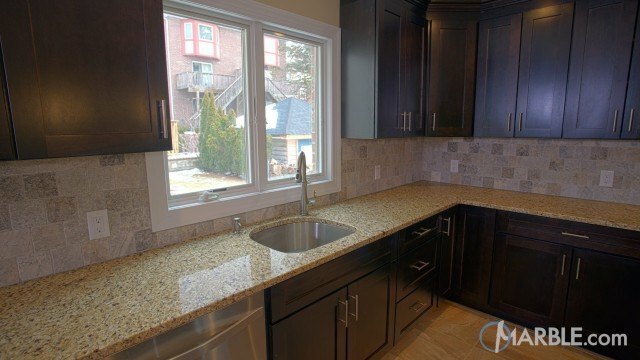 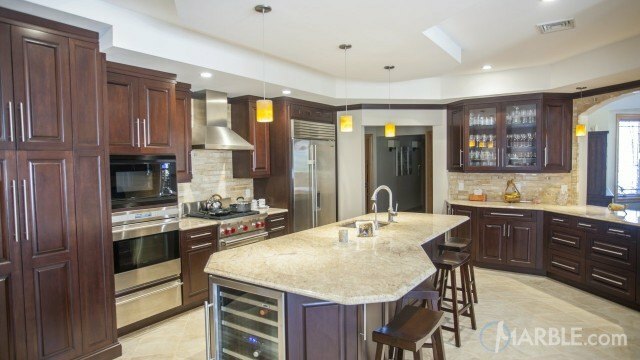 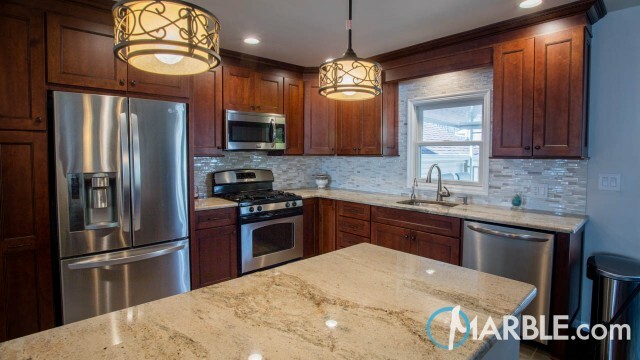 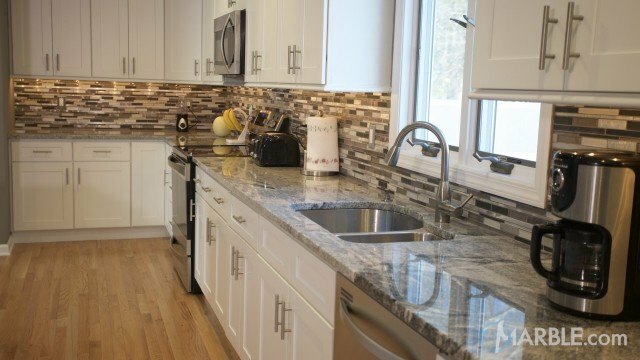 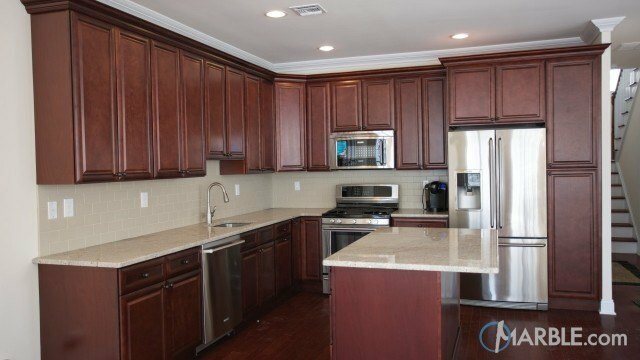 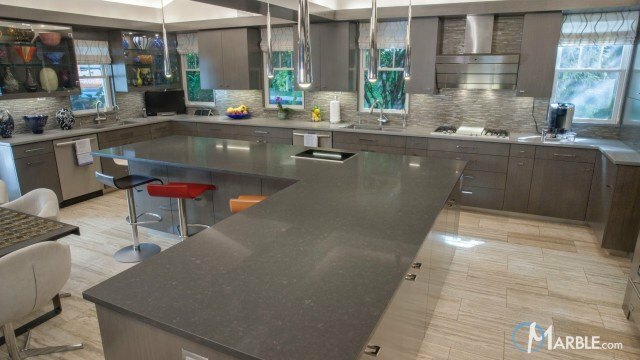 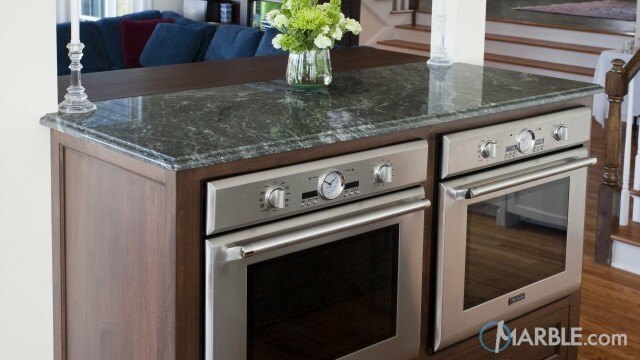 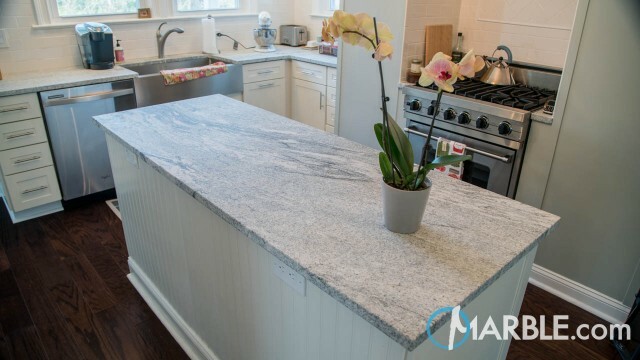 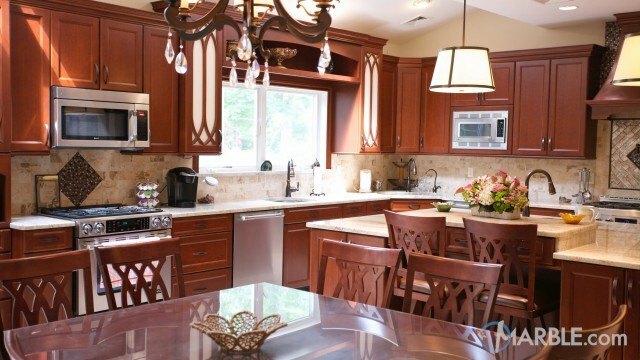 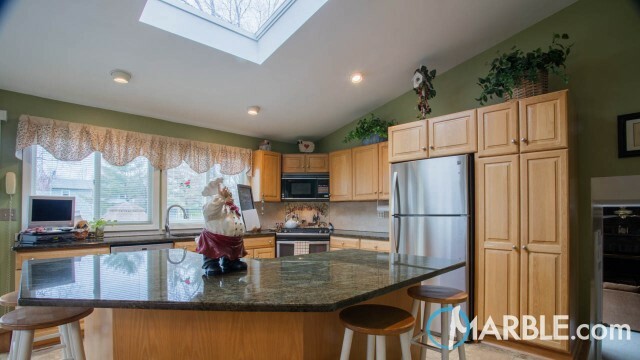 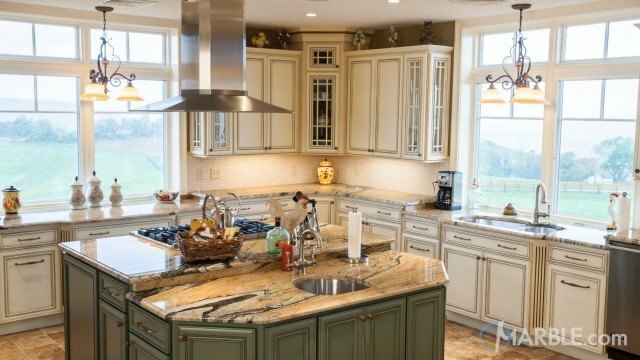 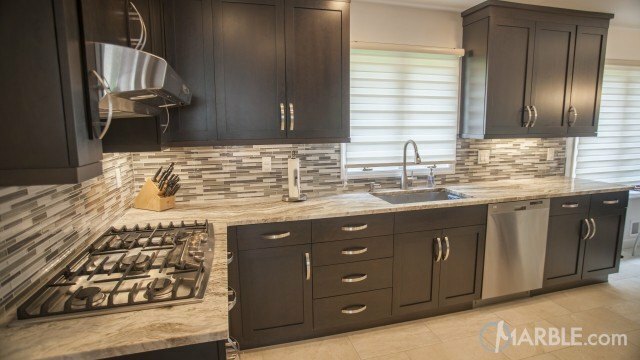 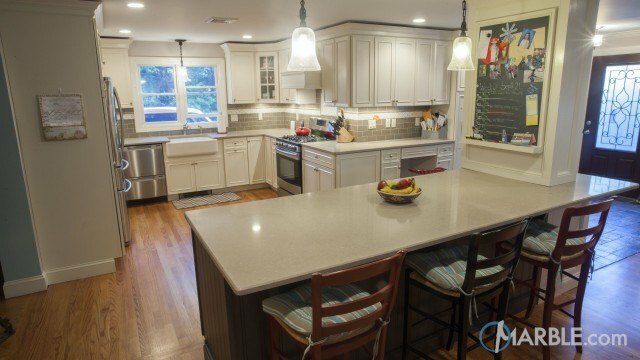 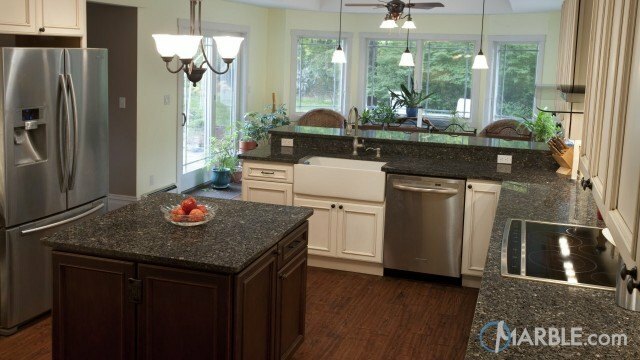 This large kitchen features two granites, Siena Biege and Black Thunder. 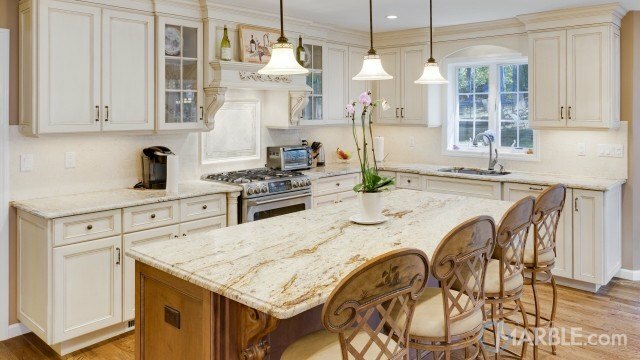 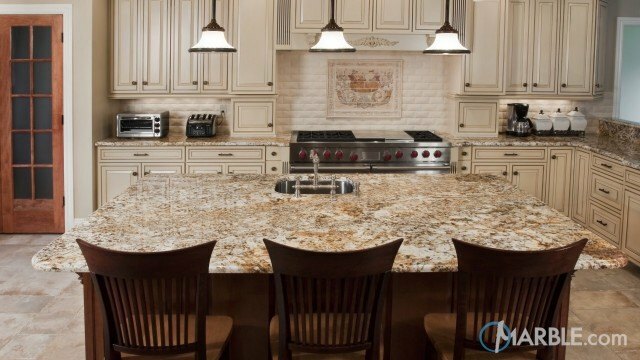 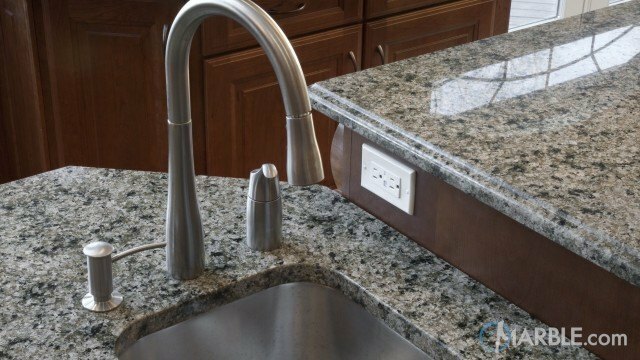 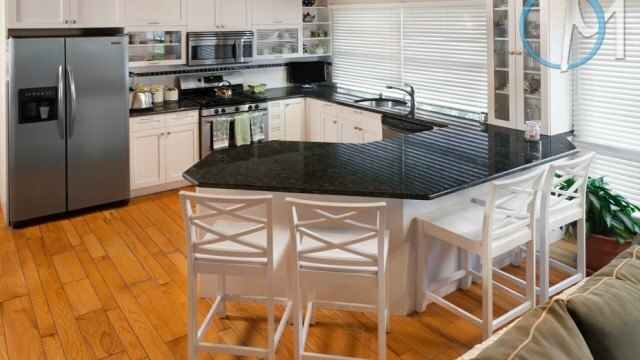 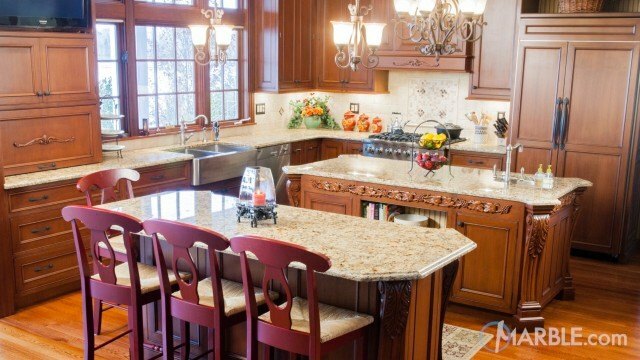 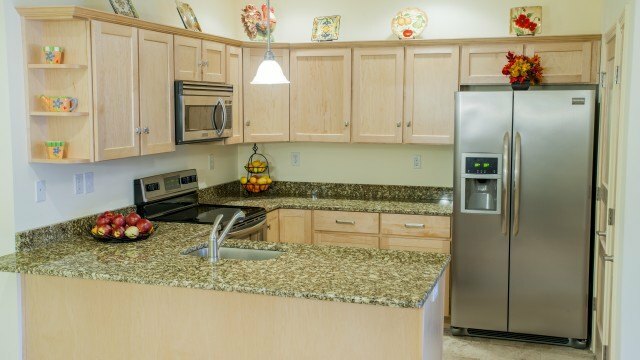 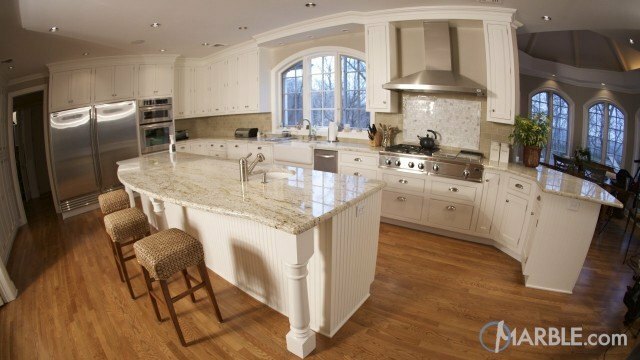 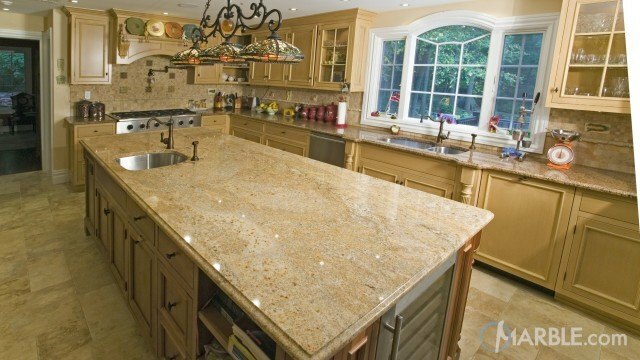 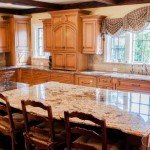 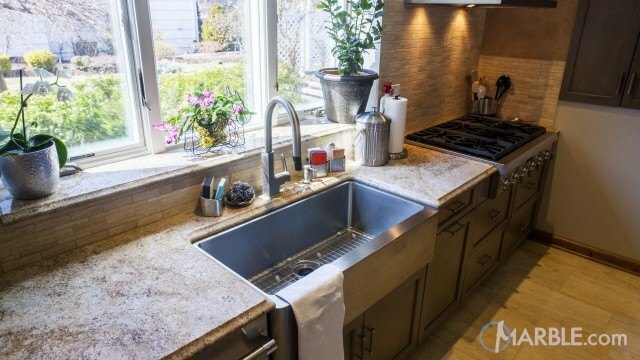 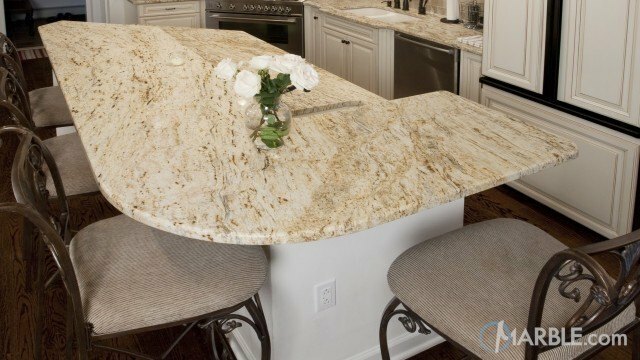 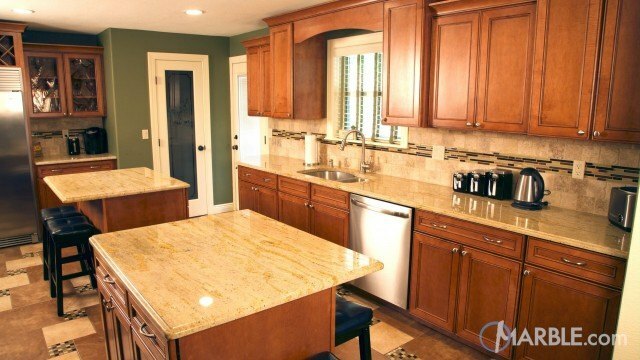 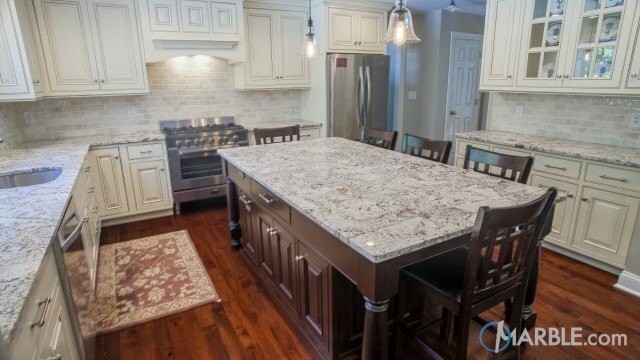 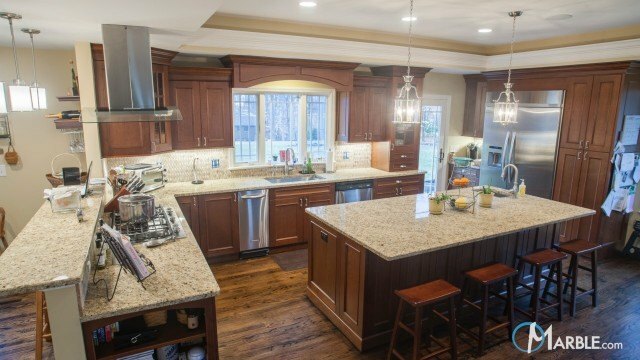 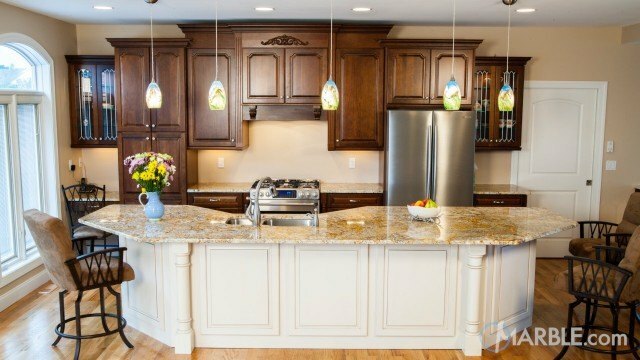 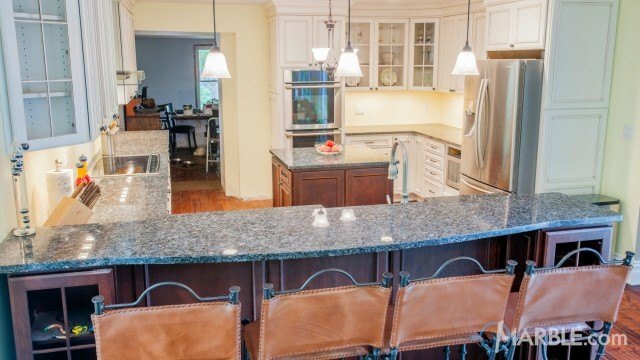 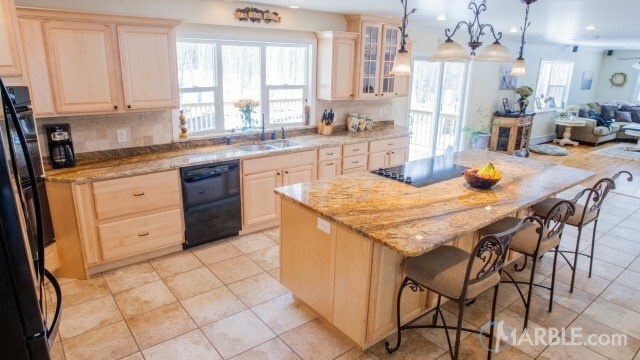 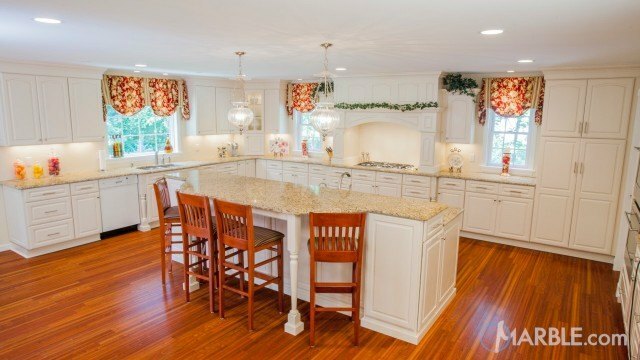 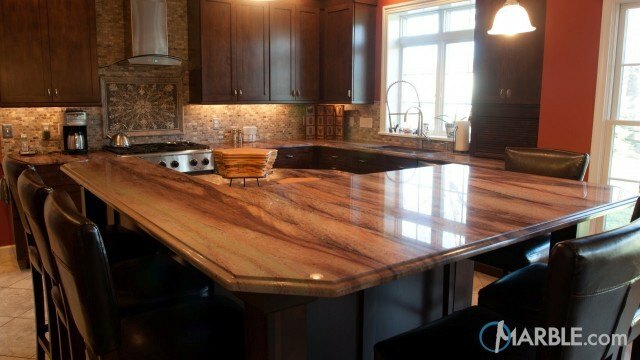 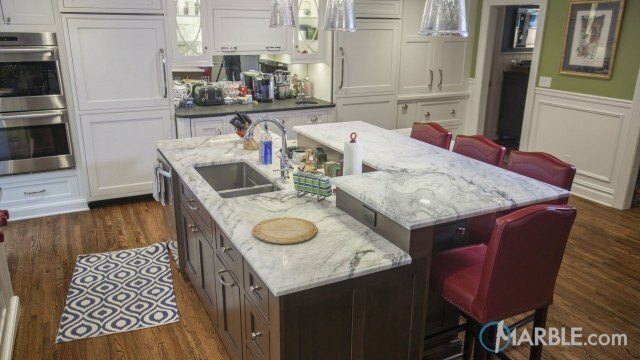 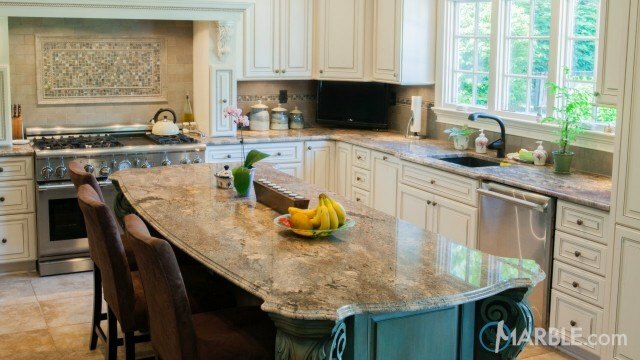 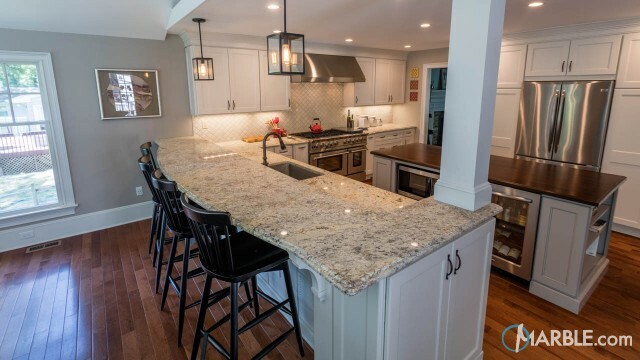 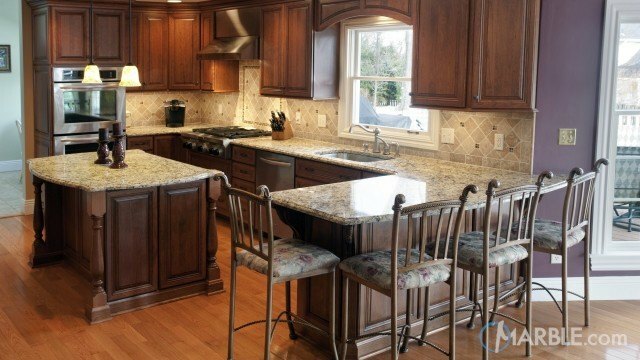 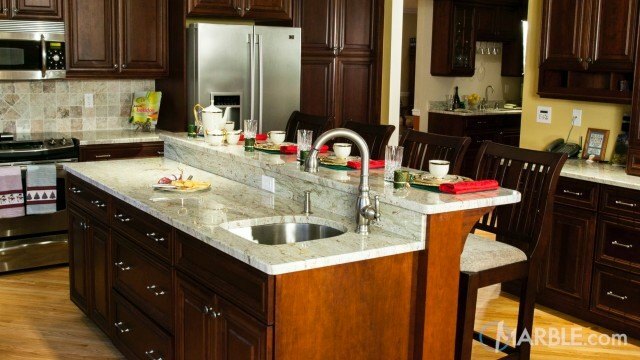 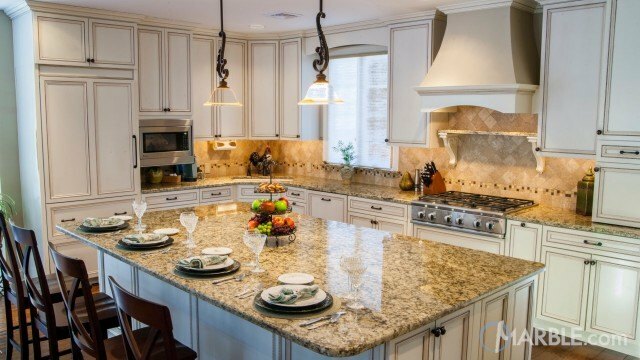 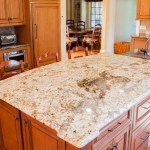 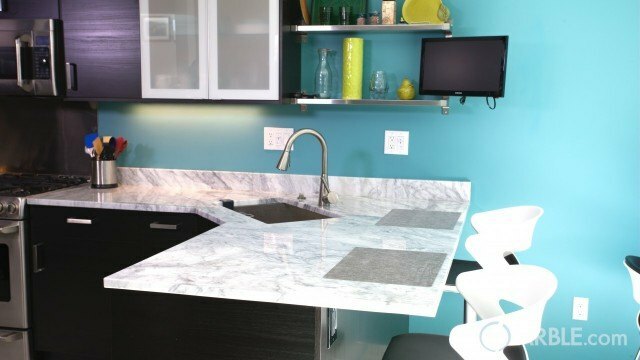 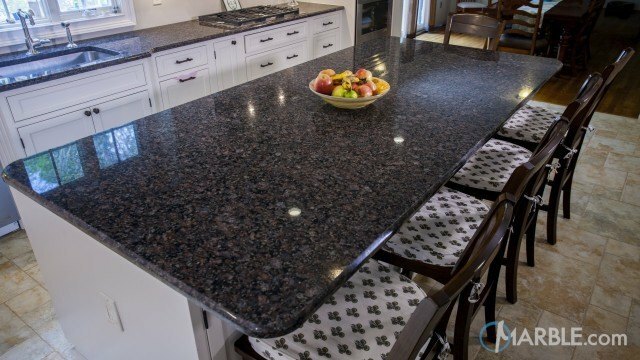 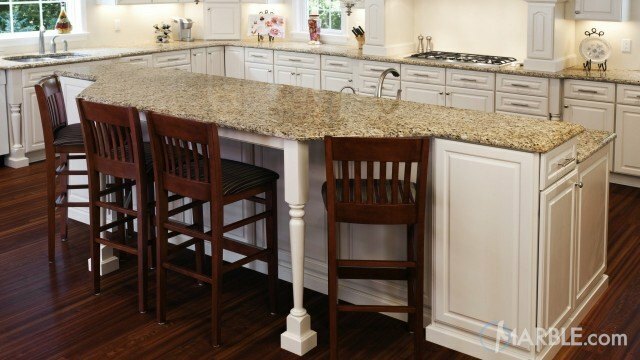 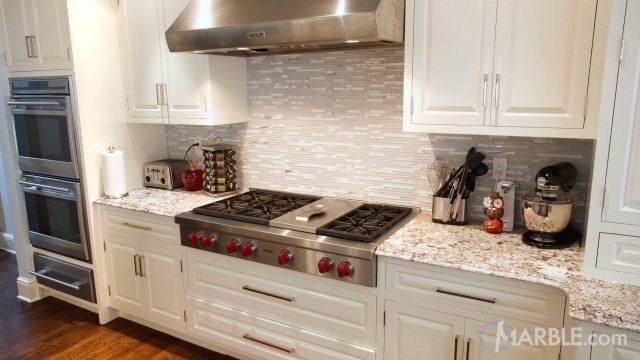 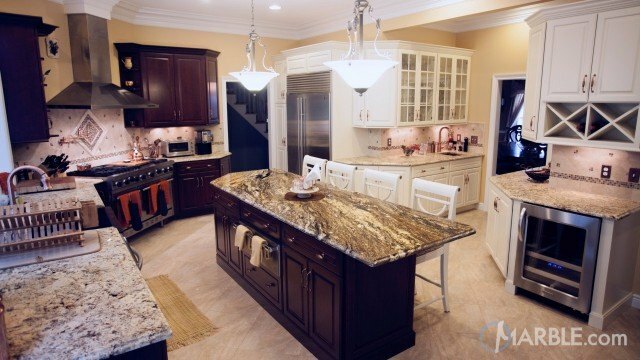 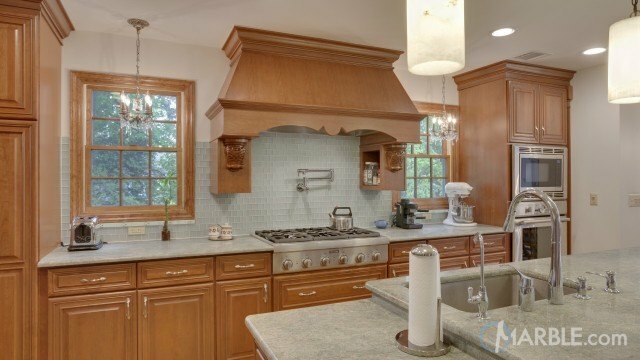 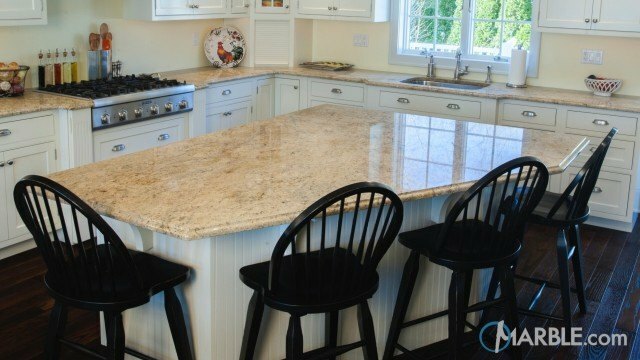 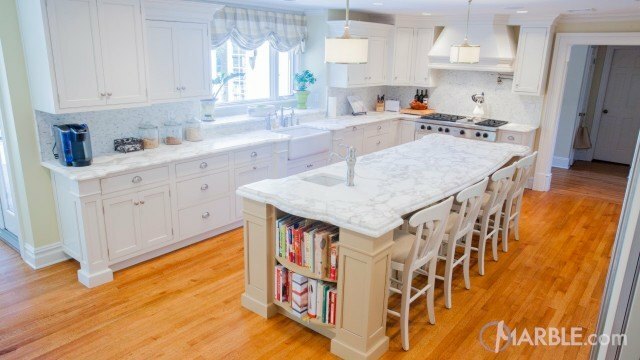 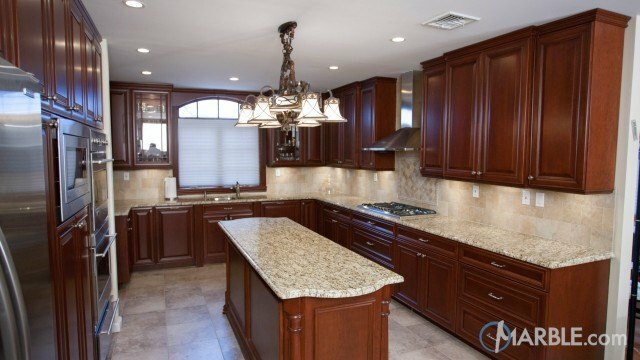 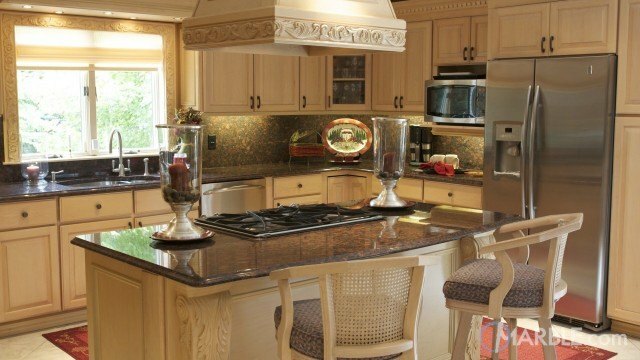 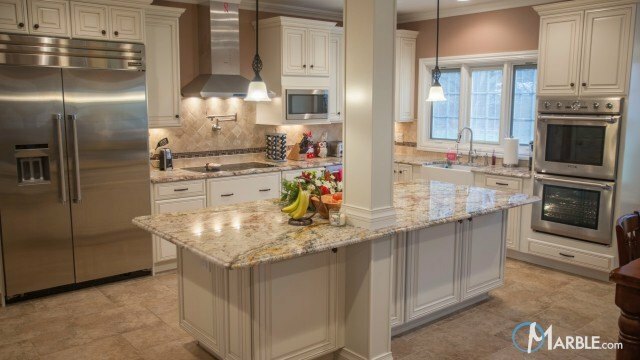 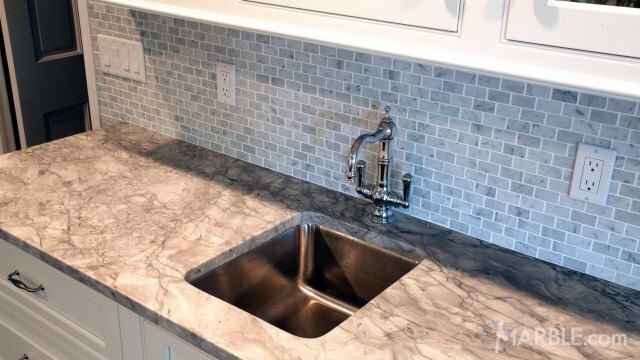 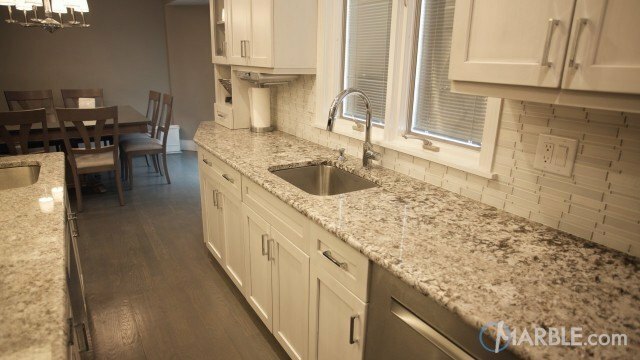 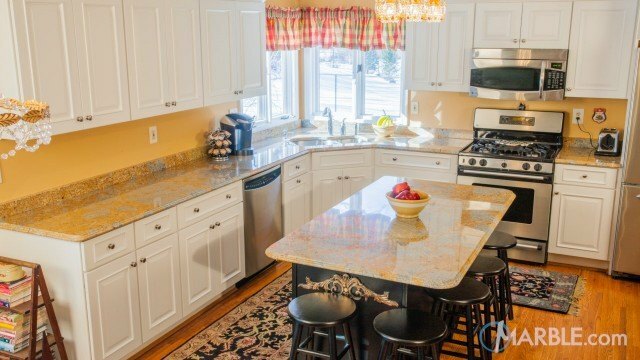 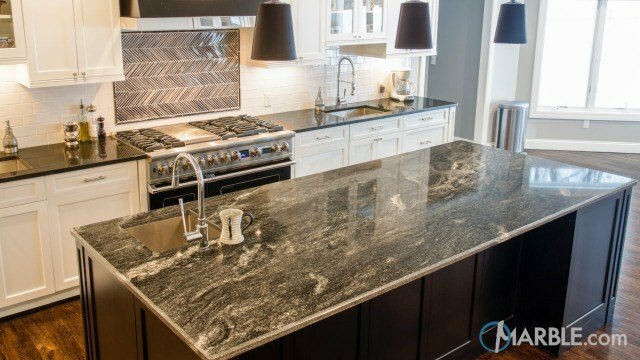 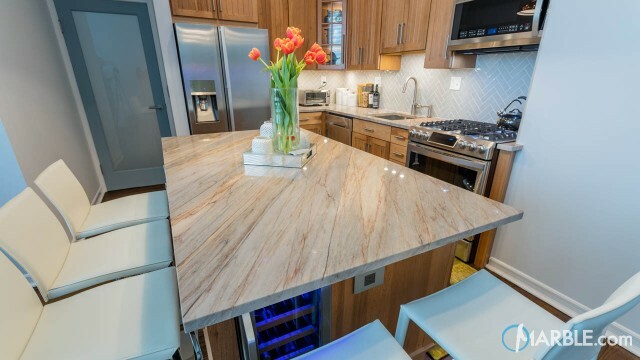 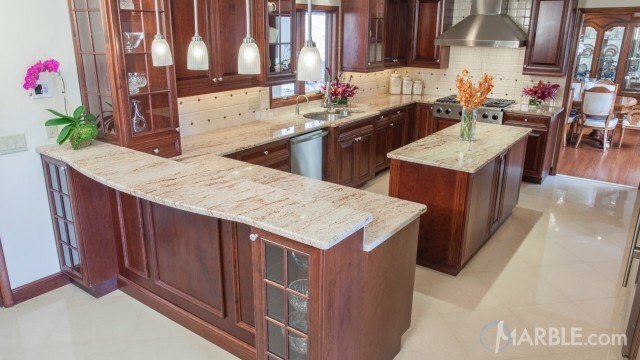 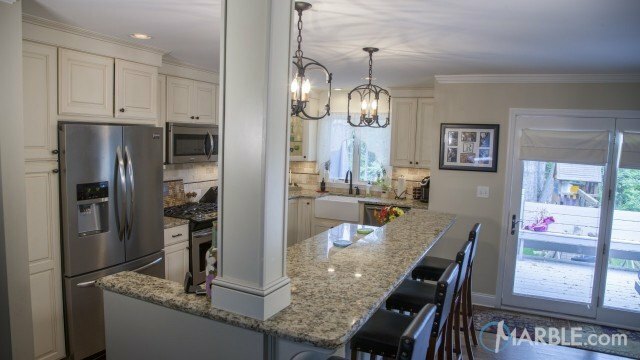 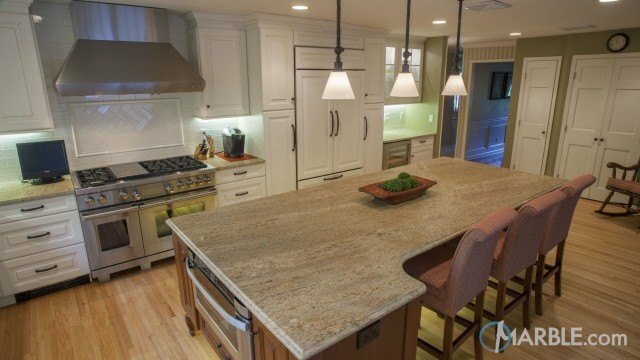 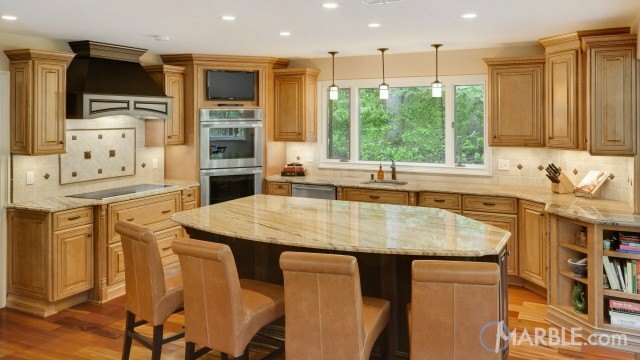 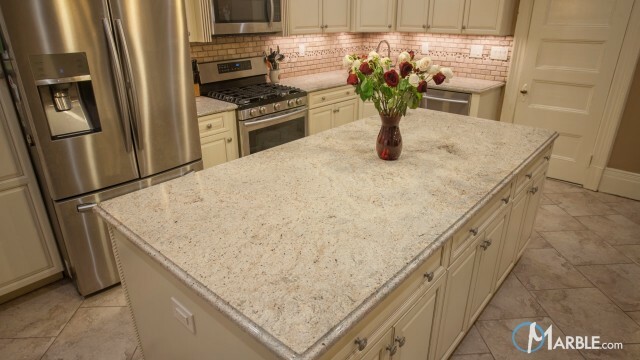 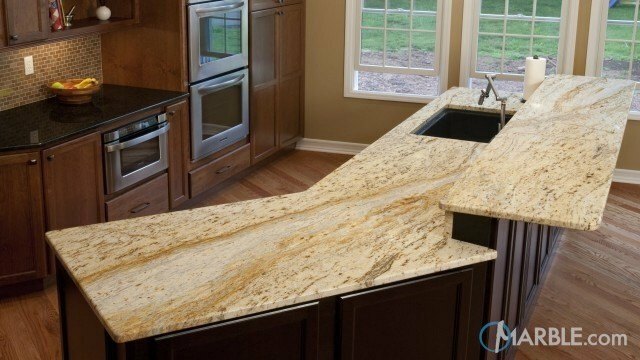 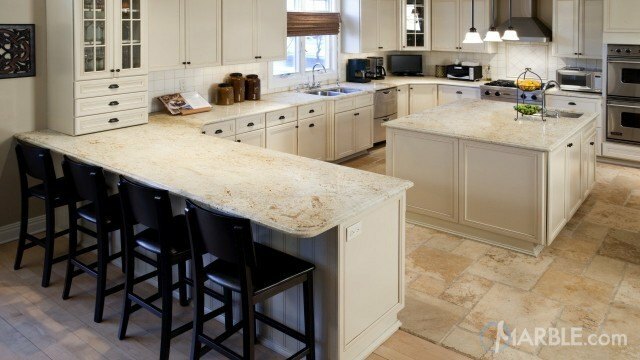 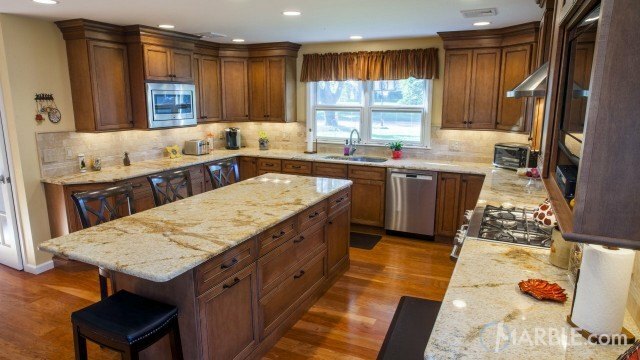 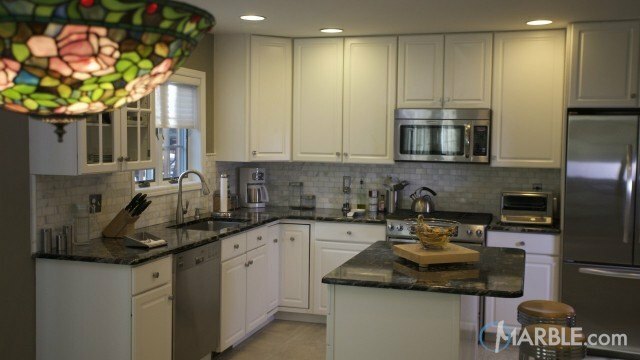 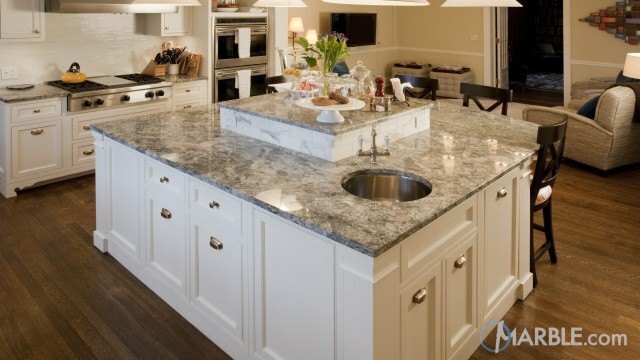 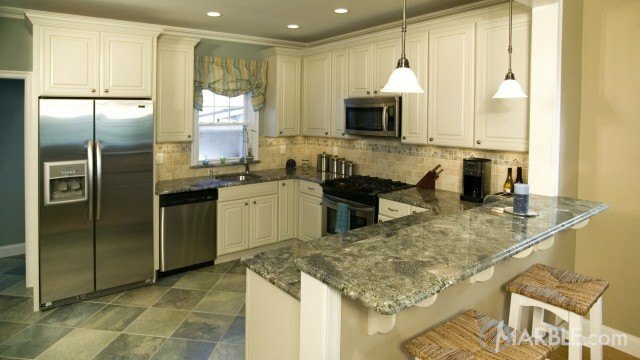 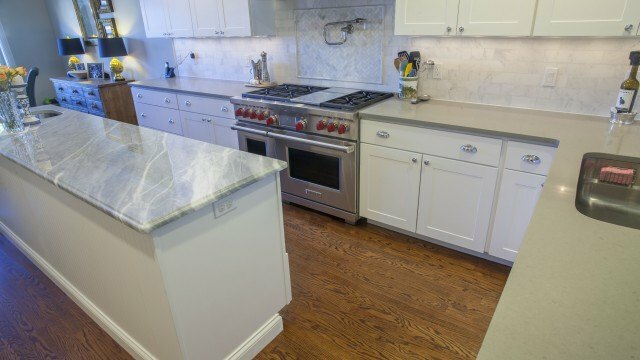 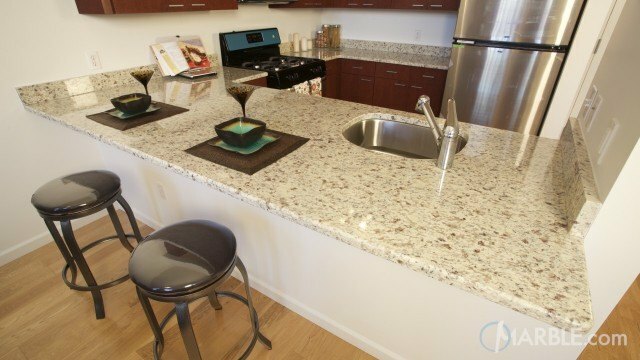 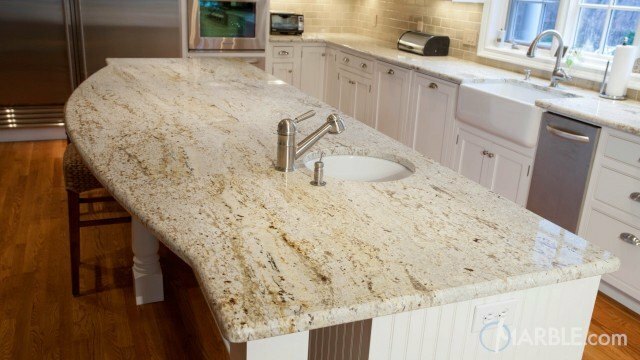 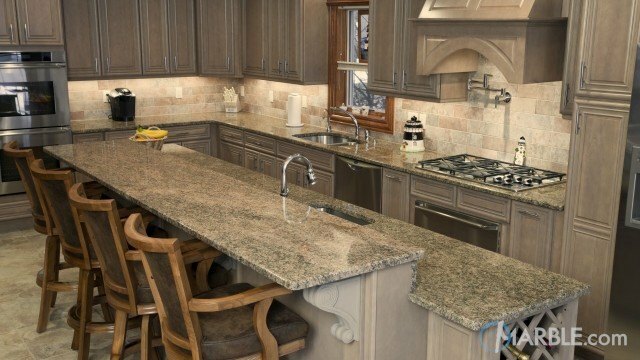 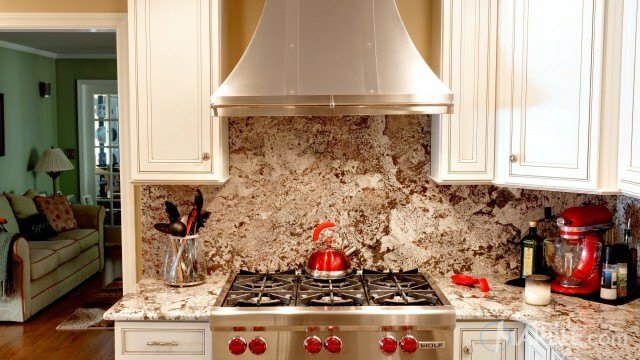 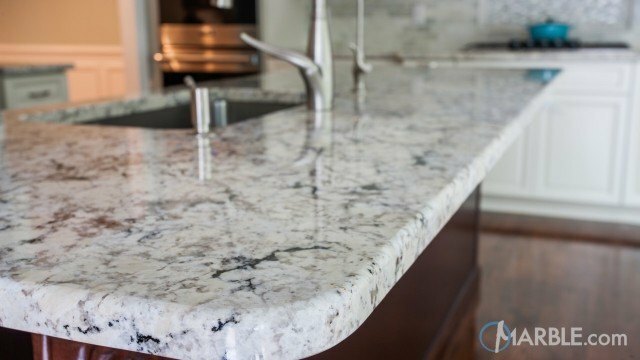 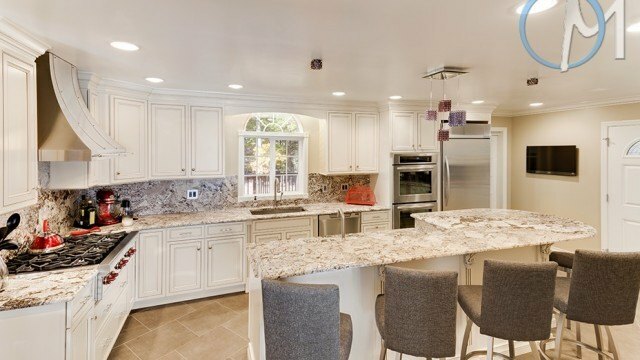 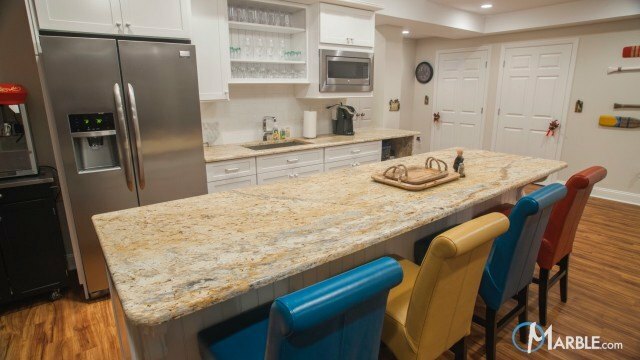 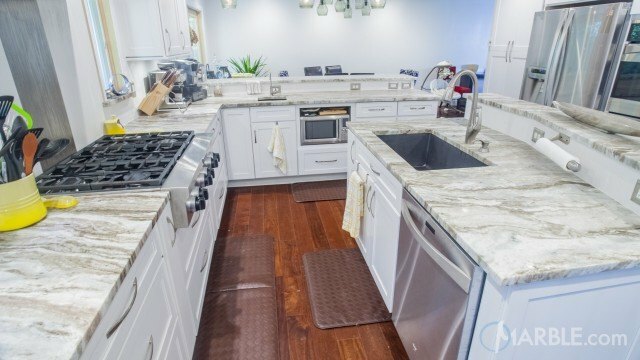 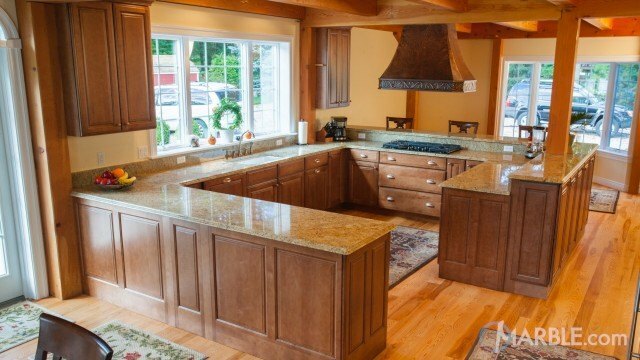 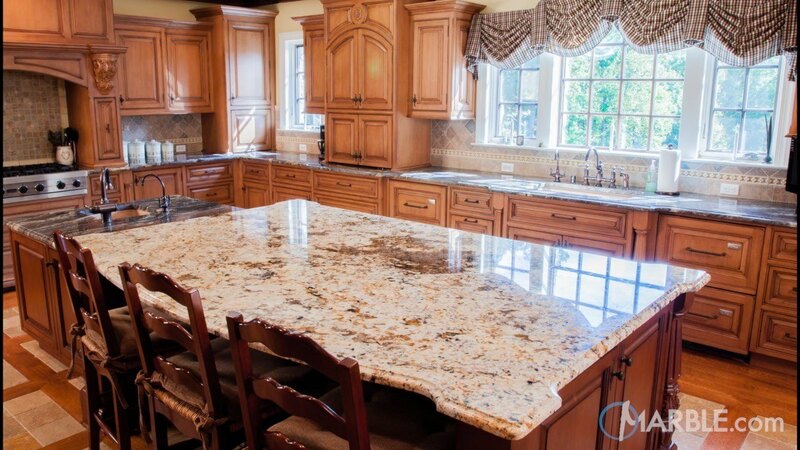 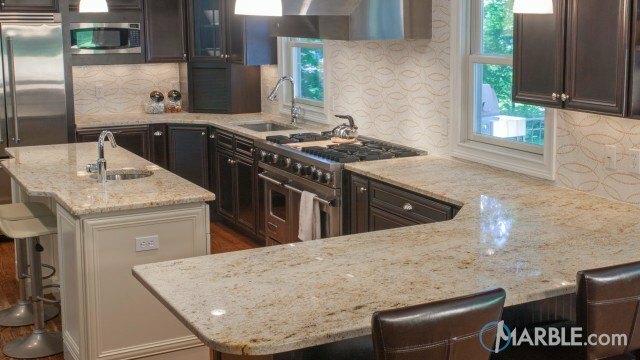 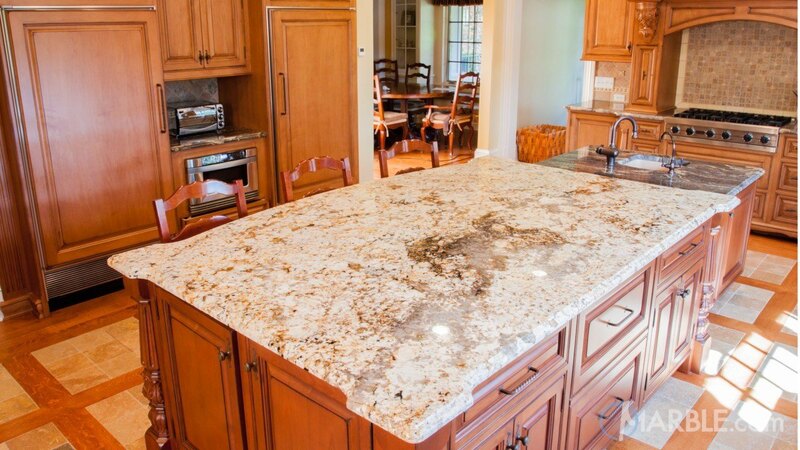 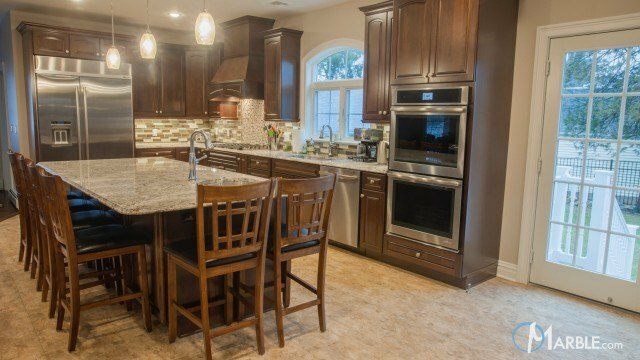 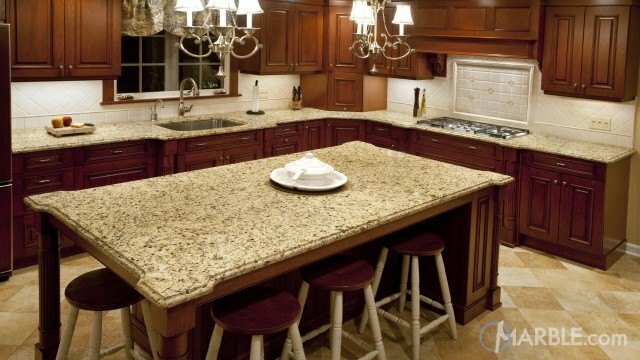 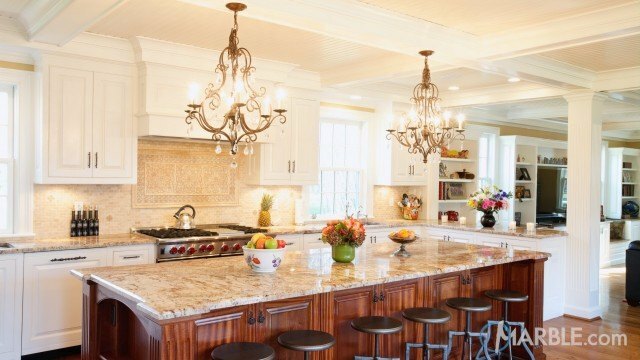 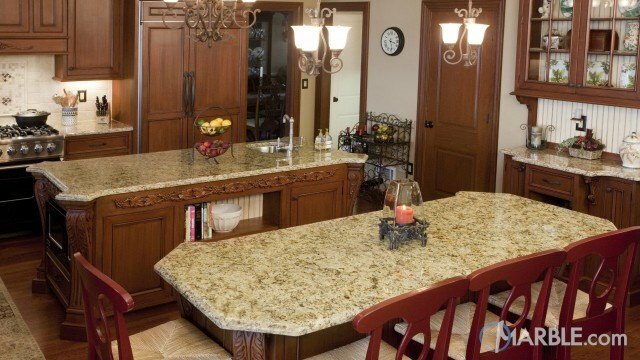 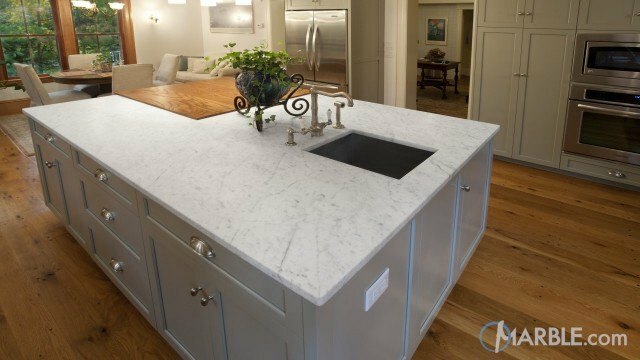 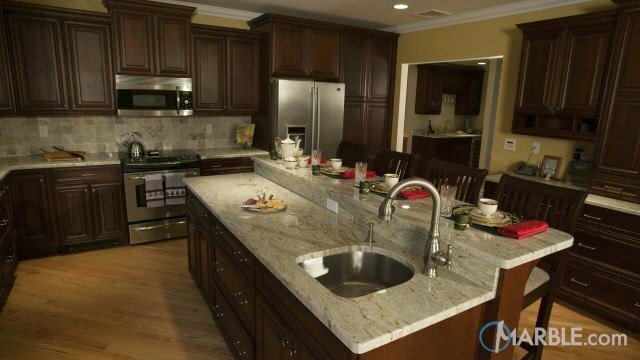 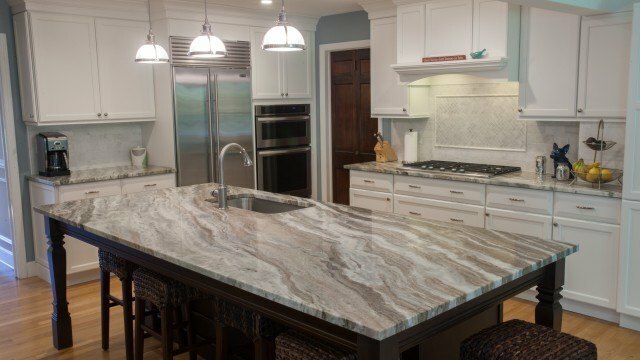 The lighter colored granite (Siena Beige) is actually a dining table but can be used as a cooking area due to its proximity in the kitchen. 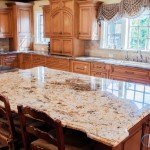 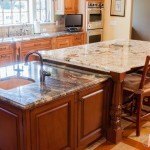 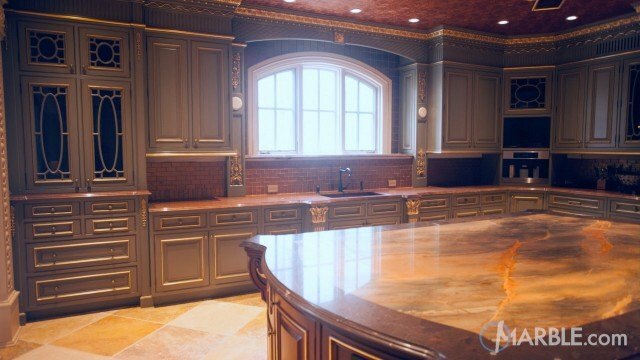 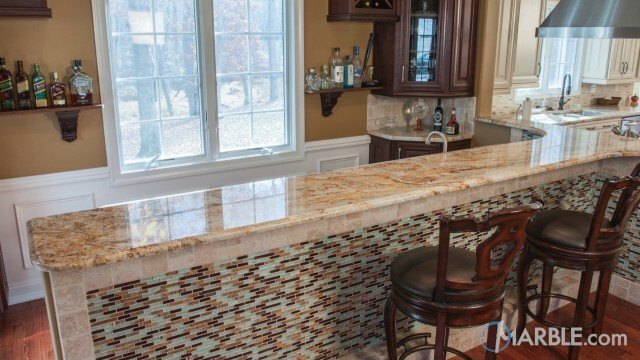 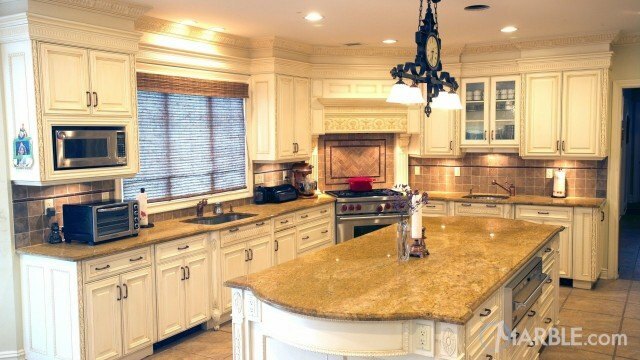 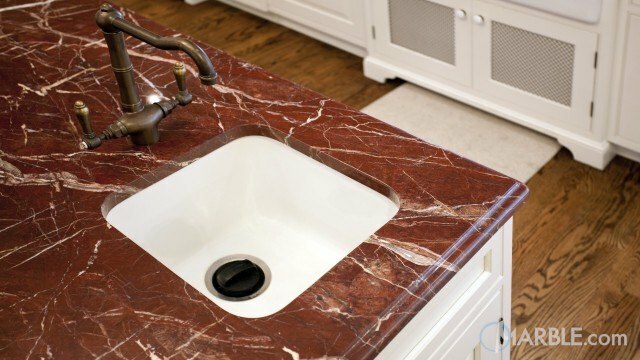 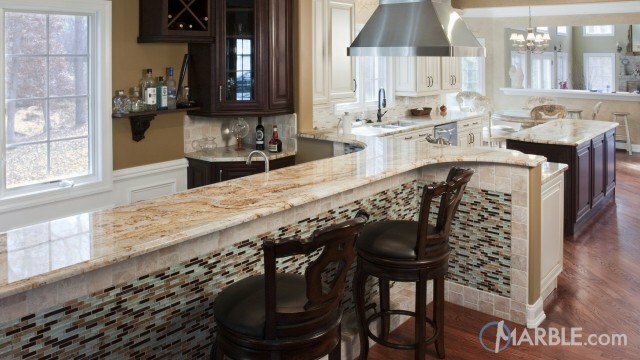 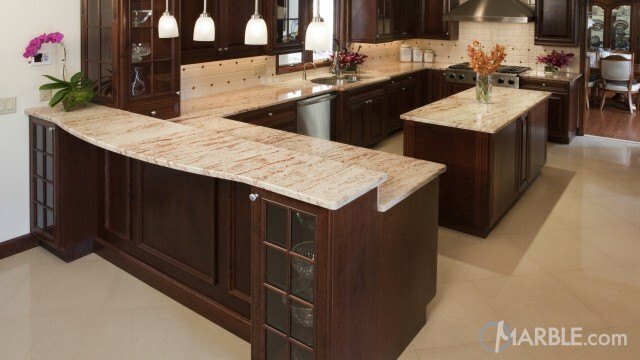 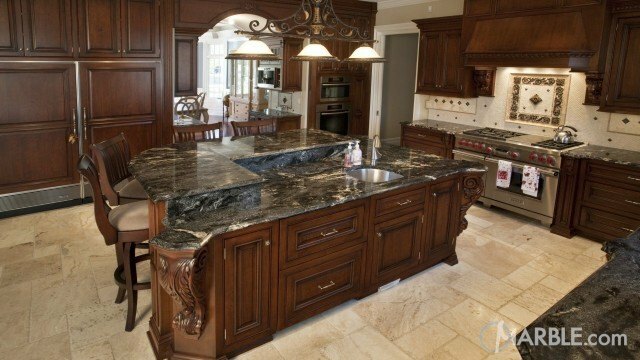 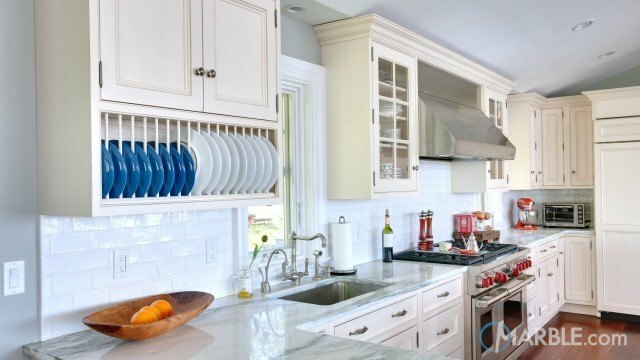 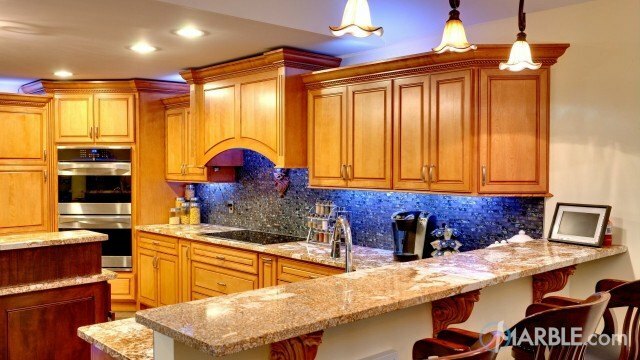 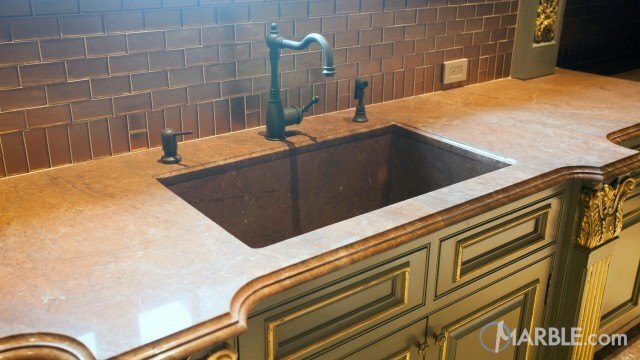 Utilizing a different colored stone for this purpose helps to separate its function aesthetically.